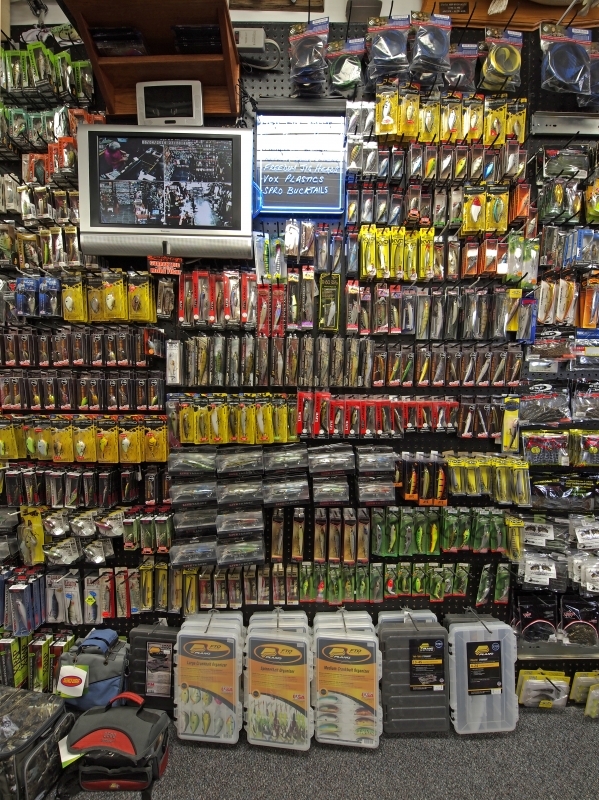 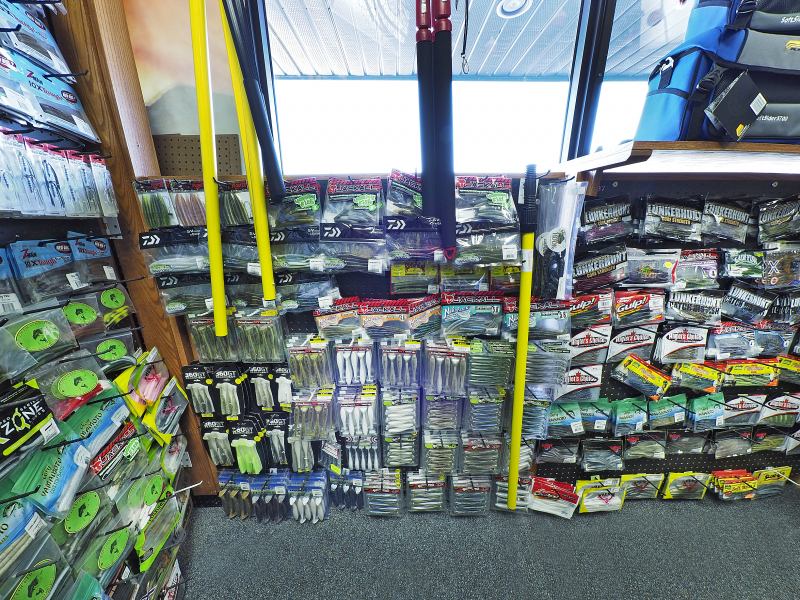 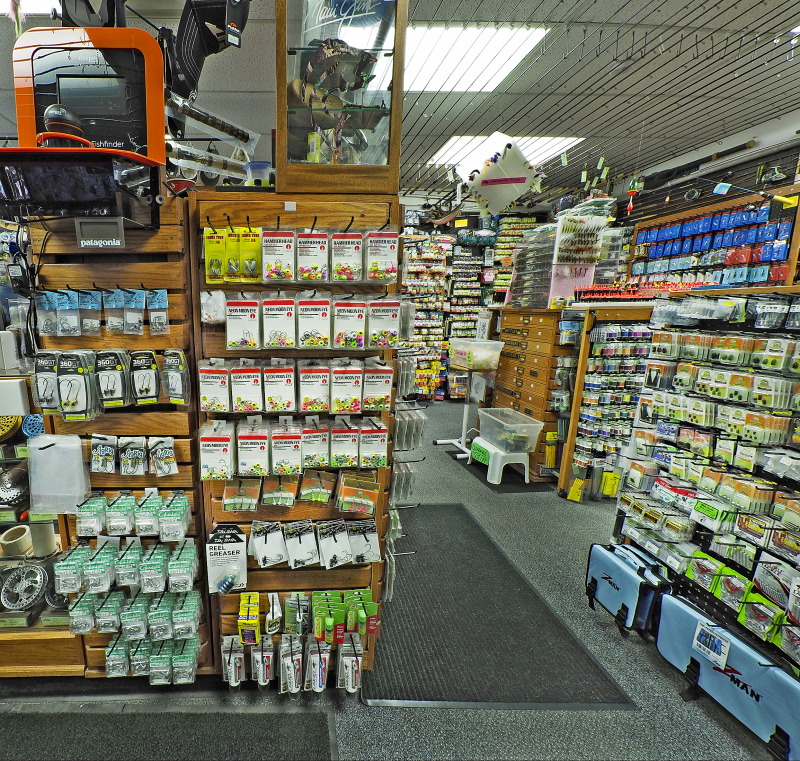 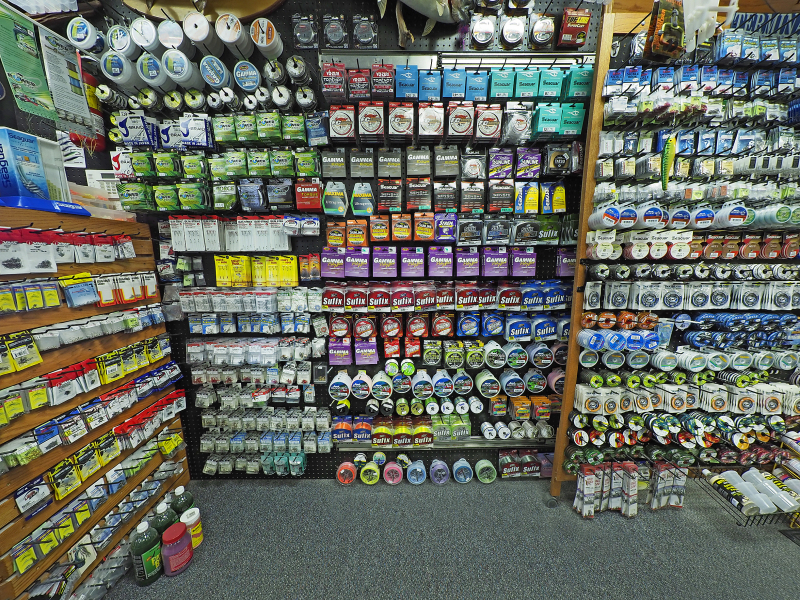 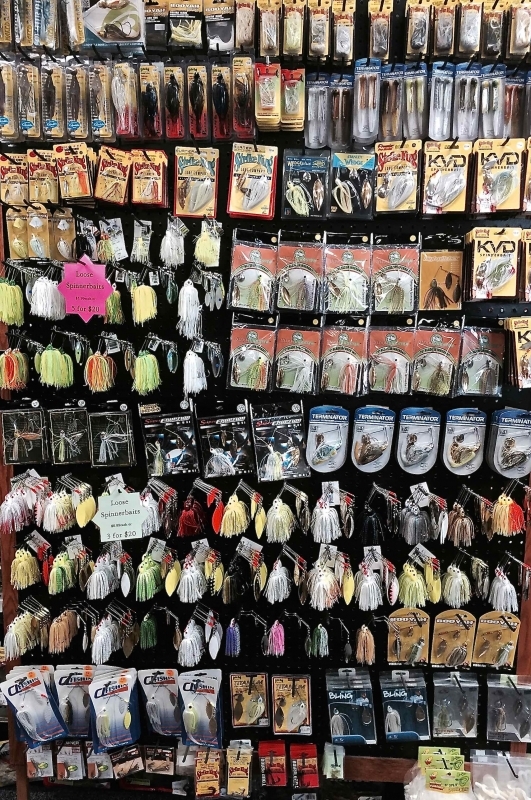 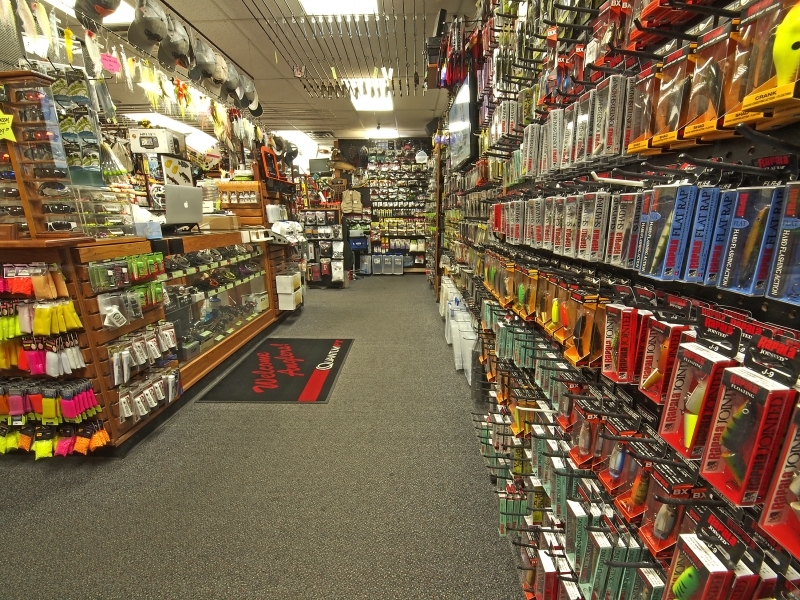 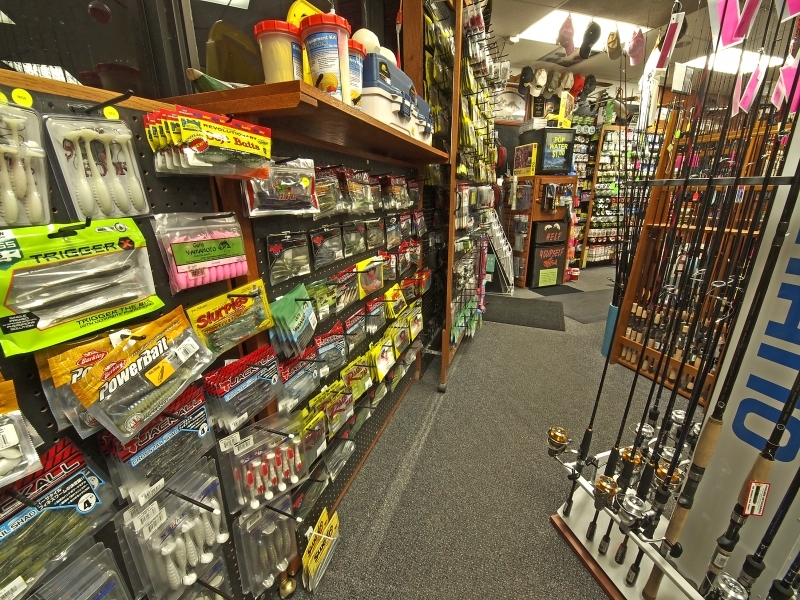 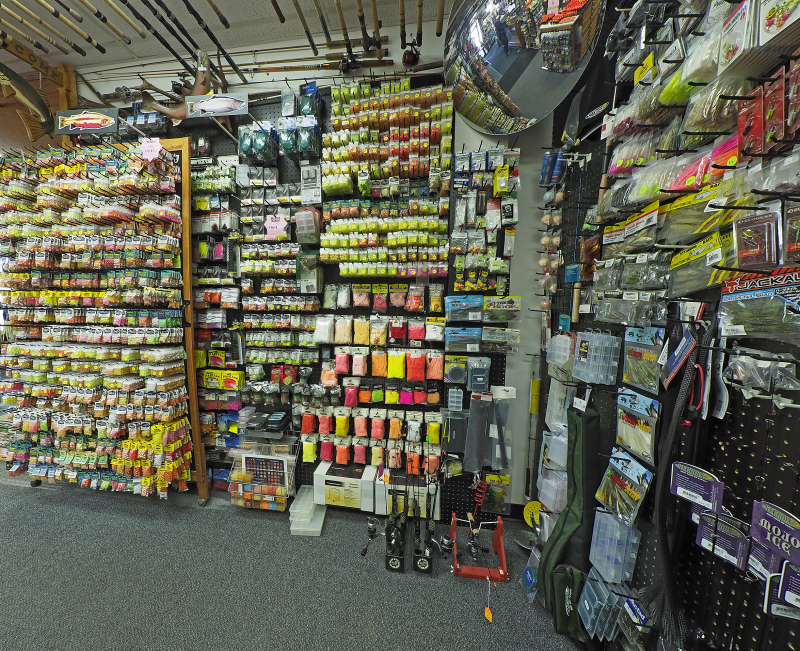 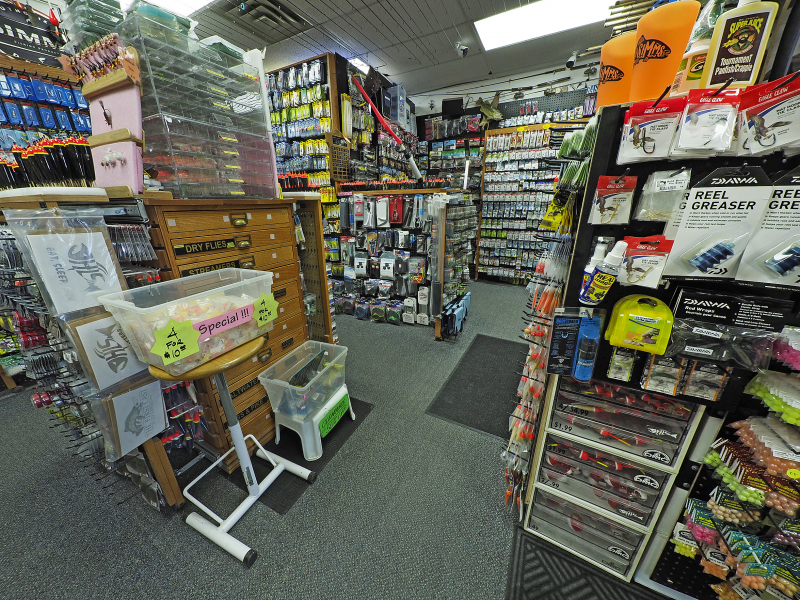 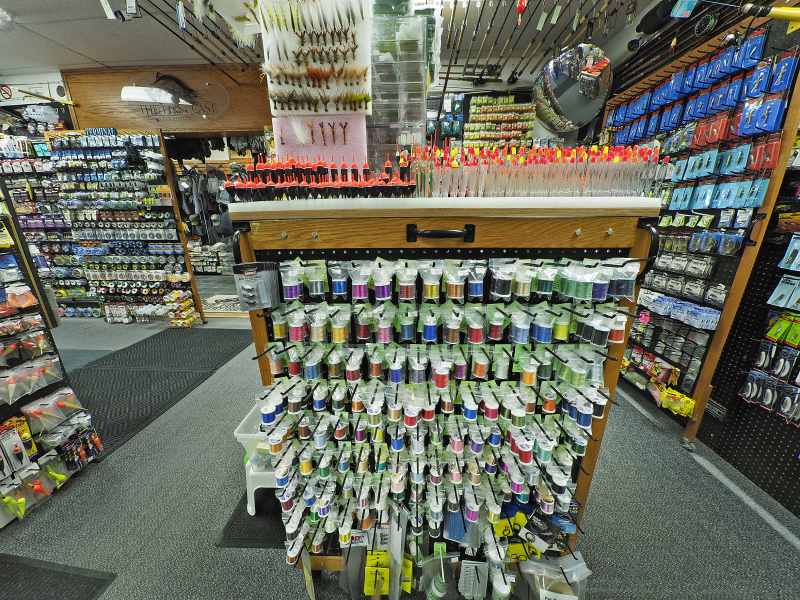 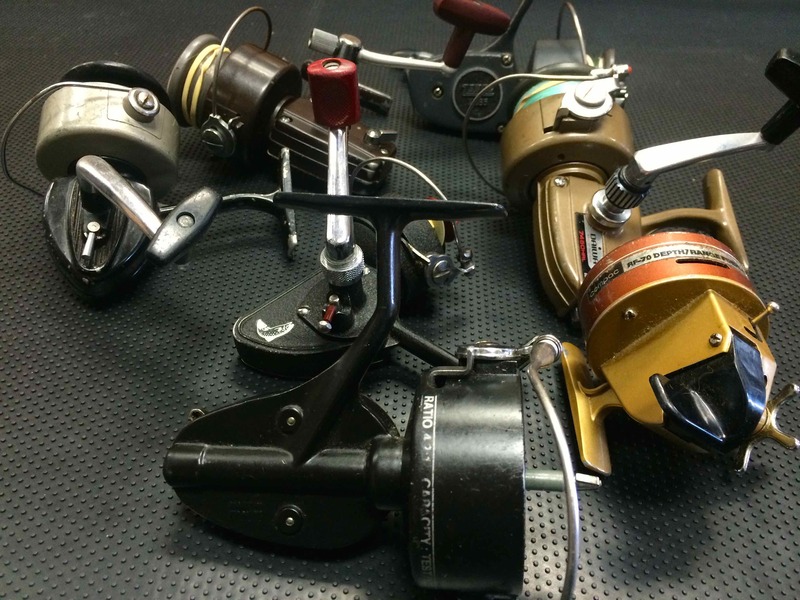 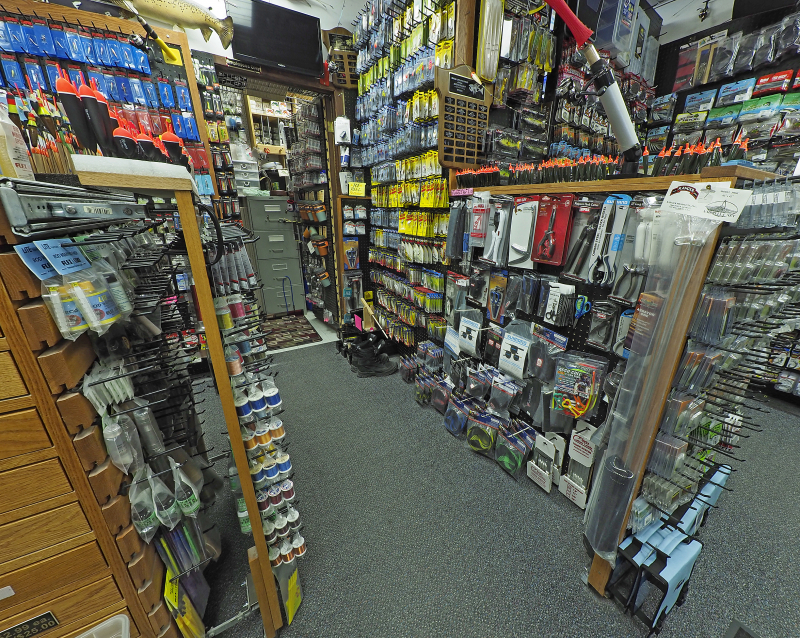 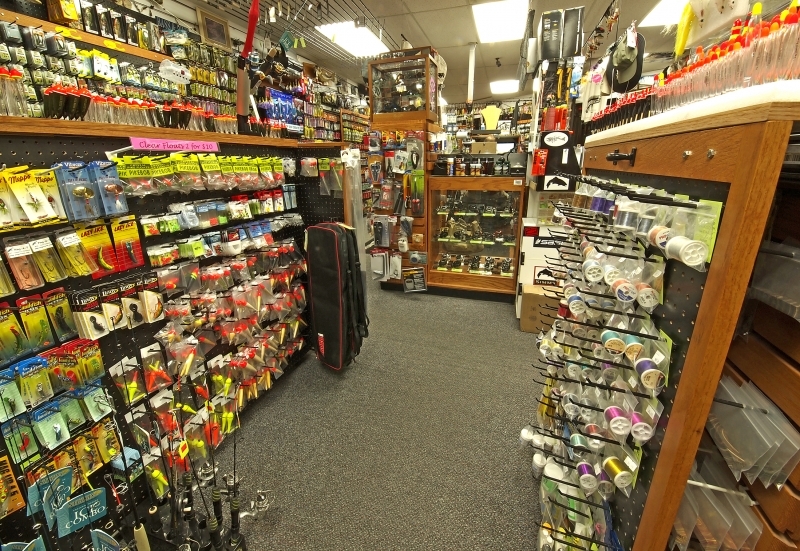 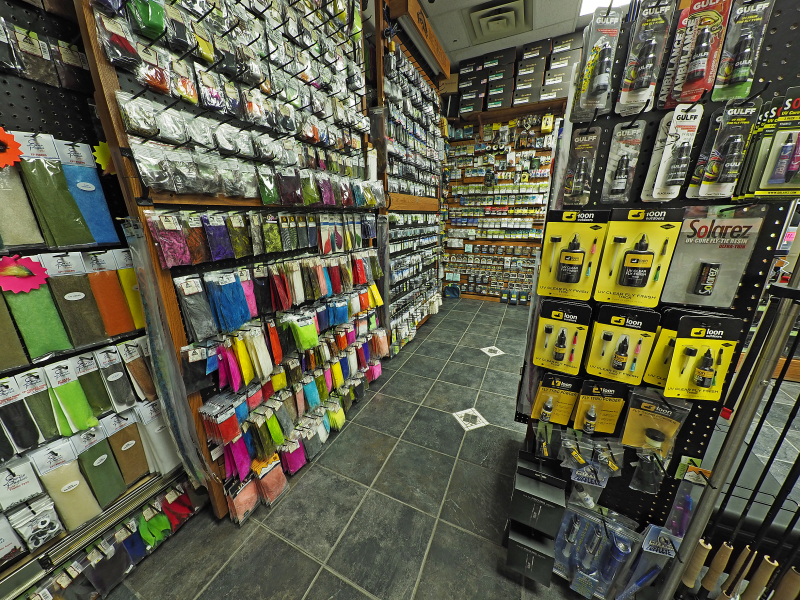 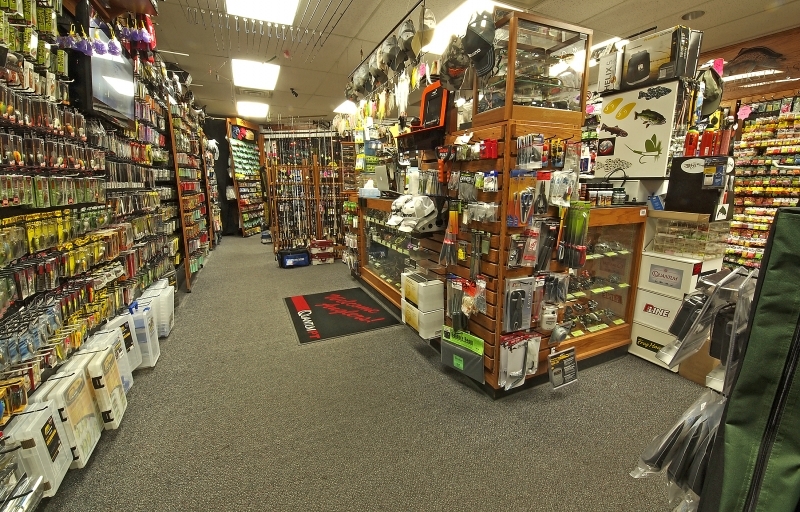 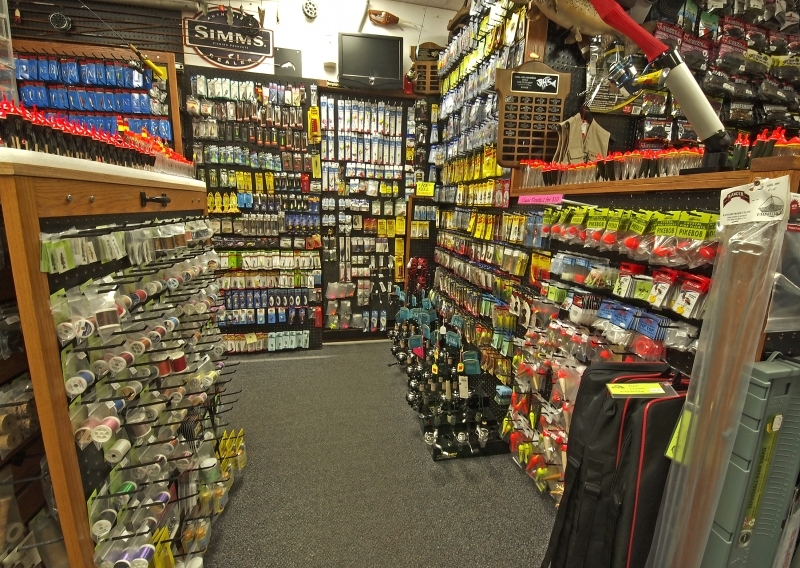 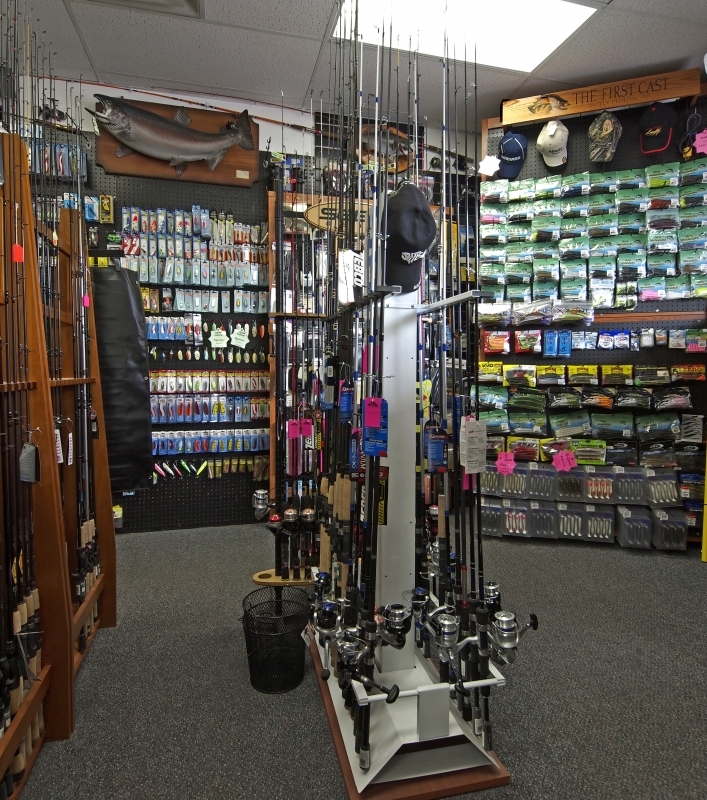 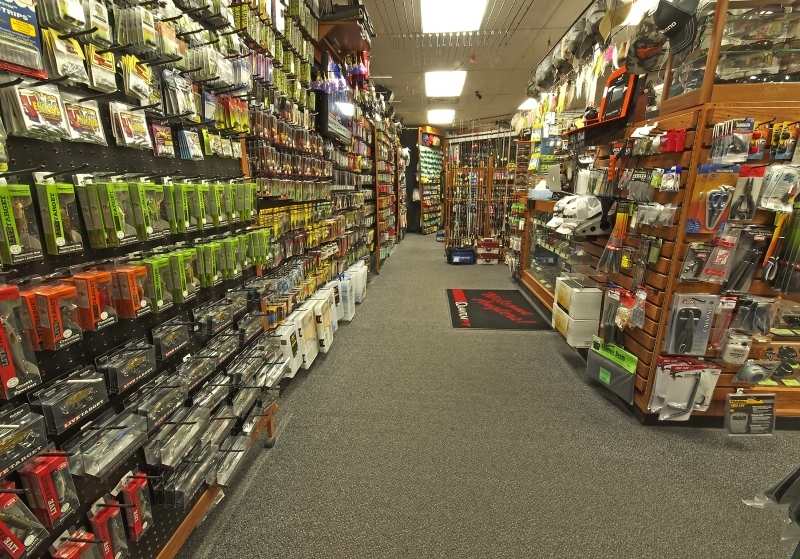 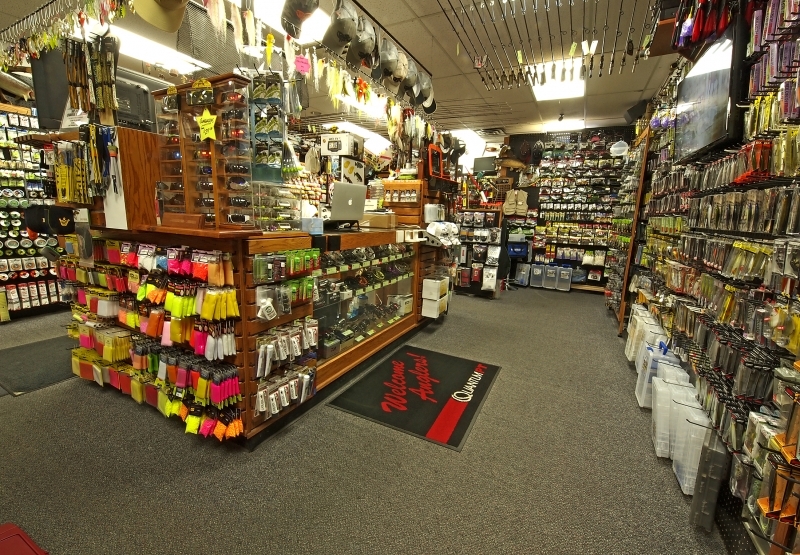 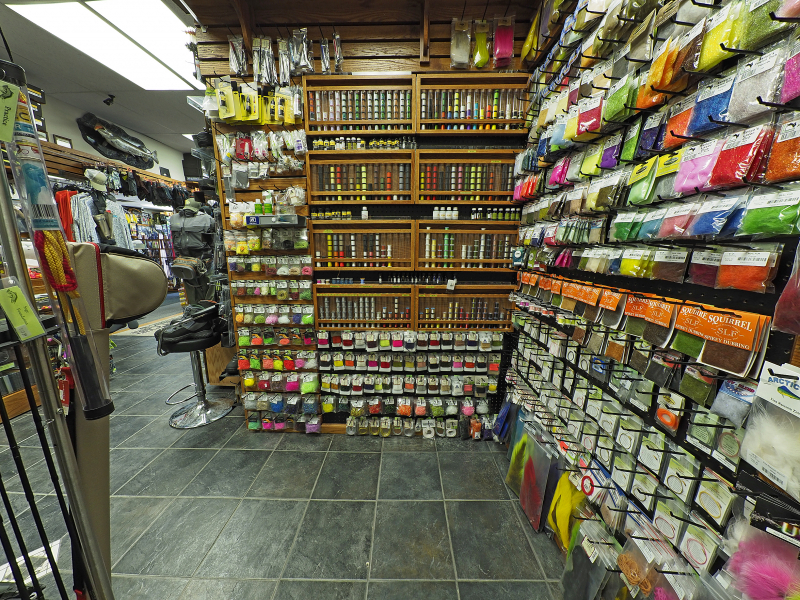 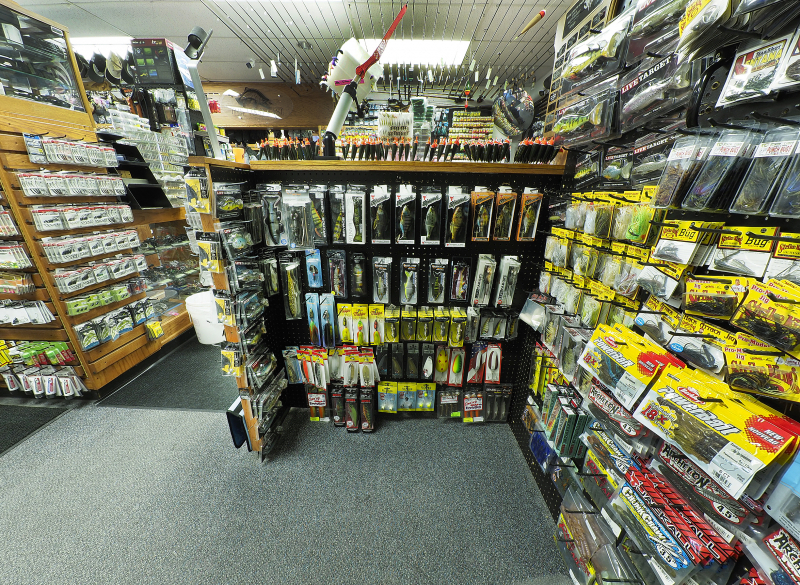 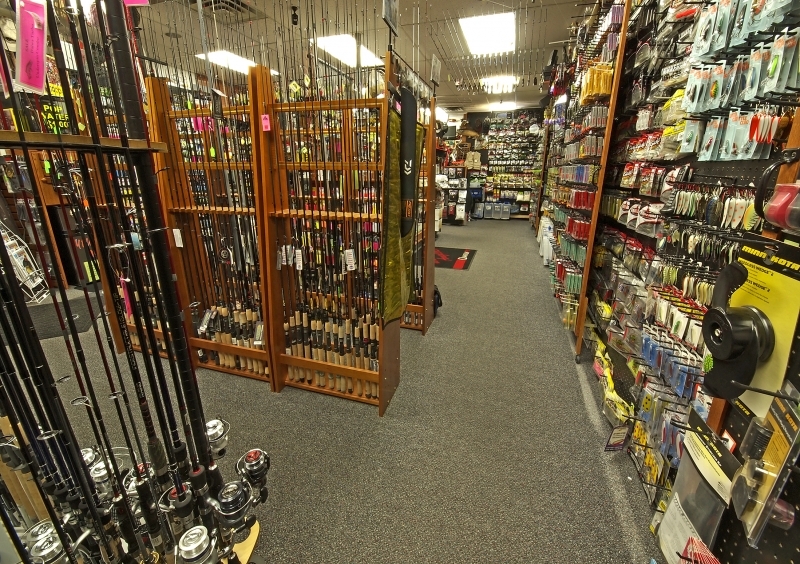 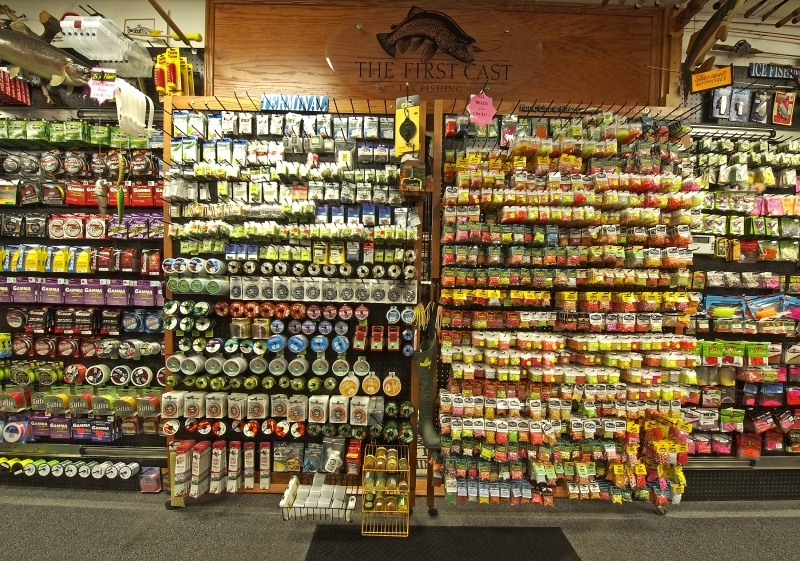 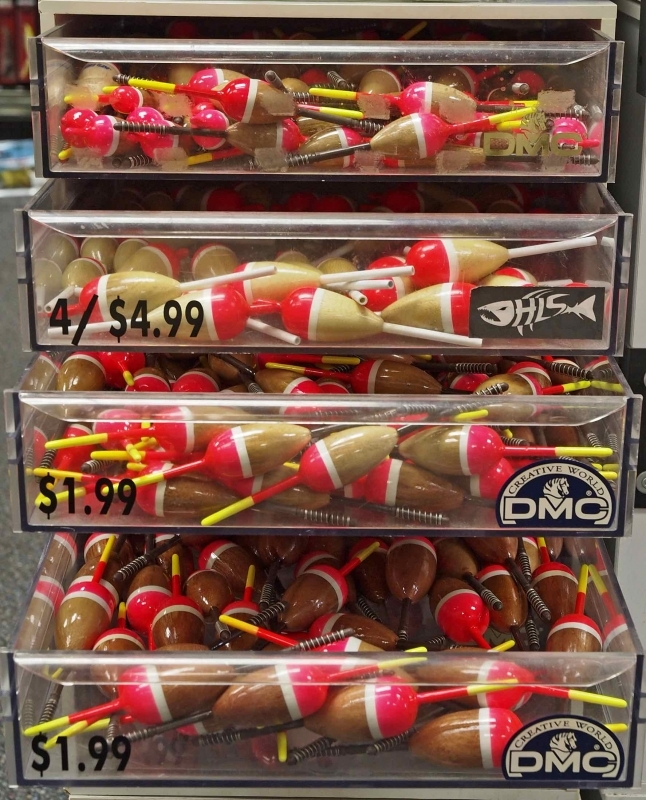 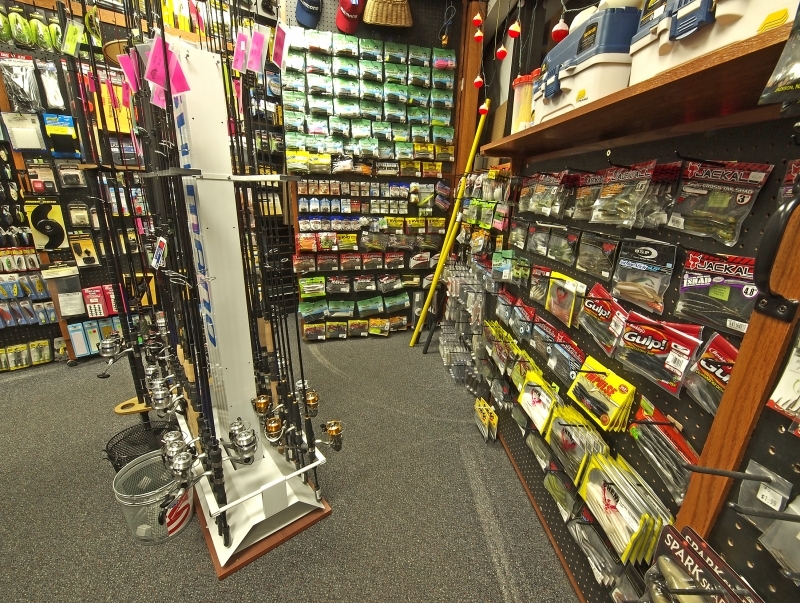 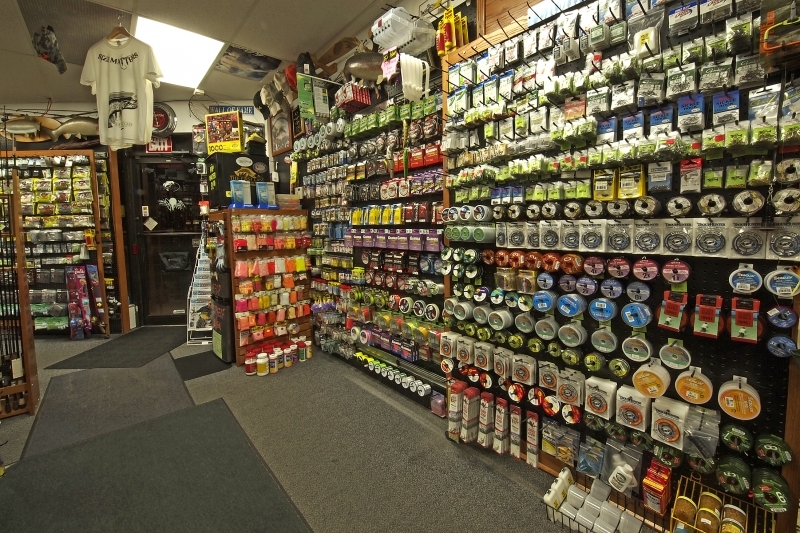 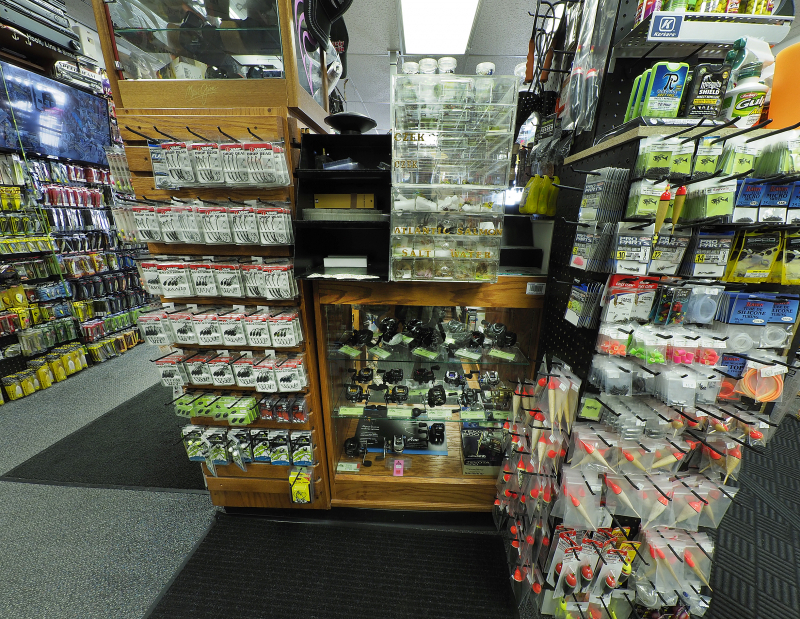 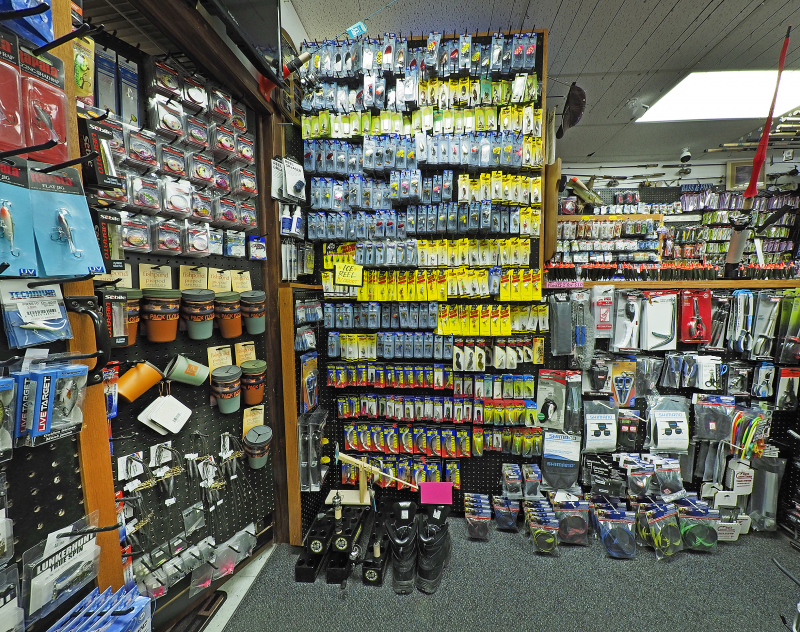 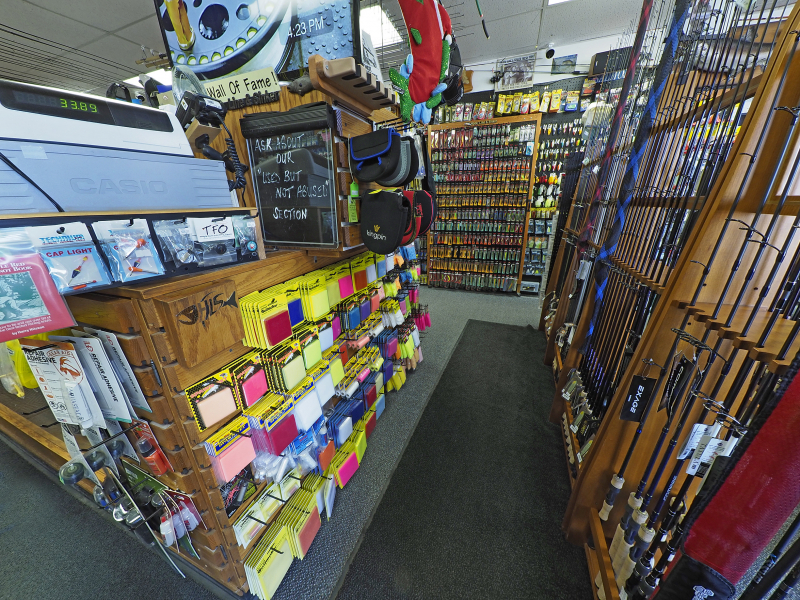 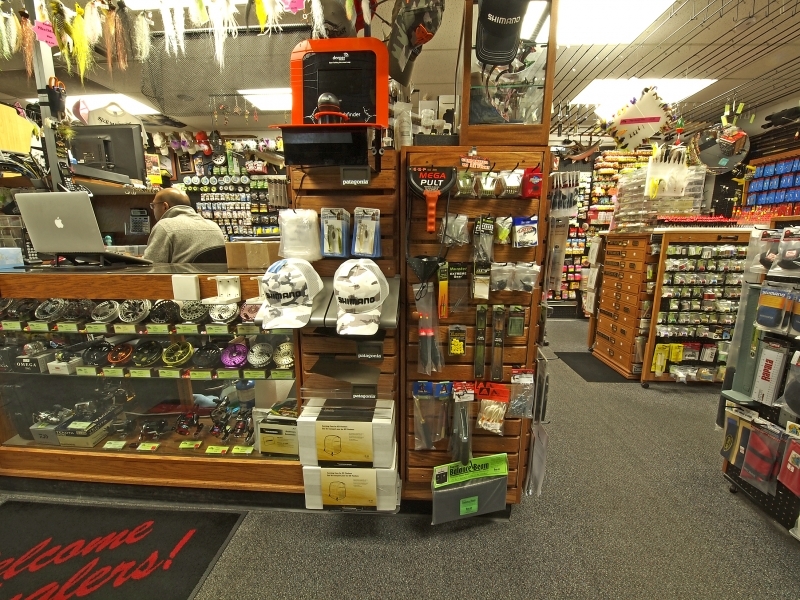 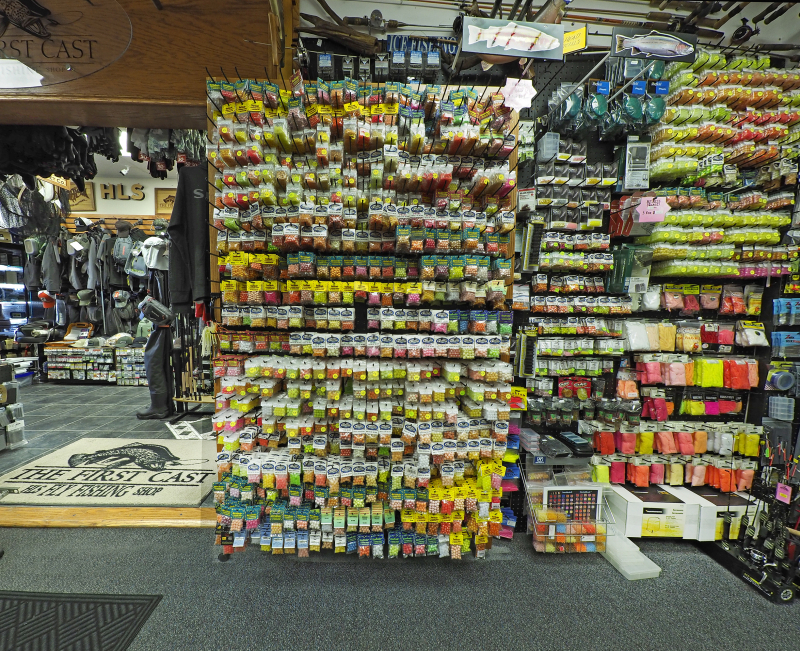 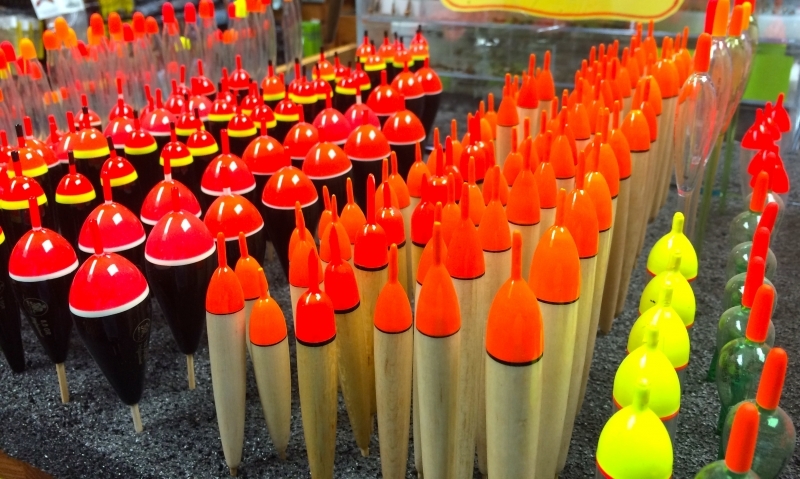 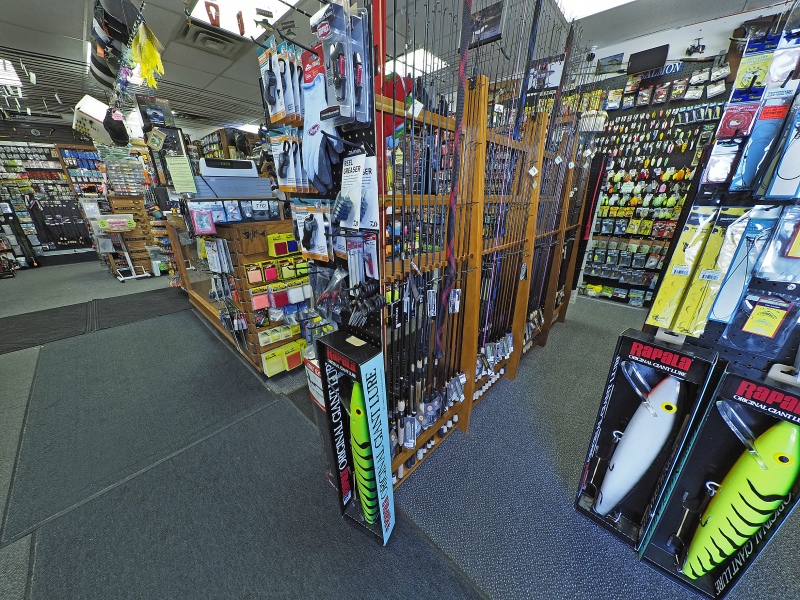 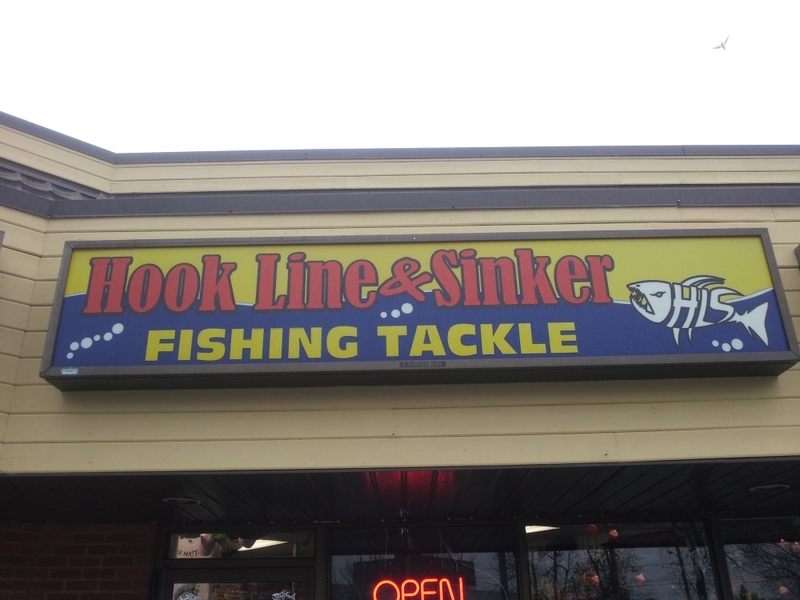 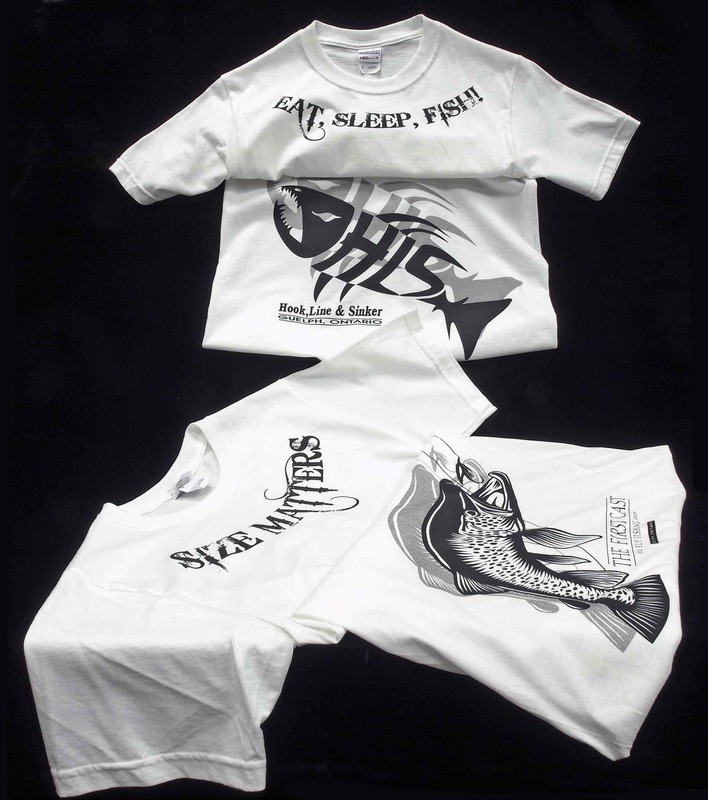 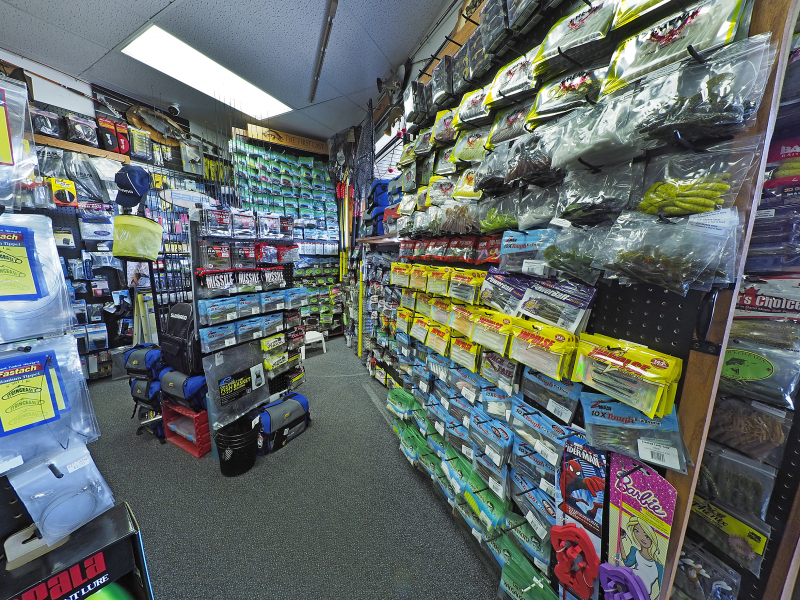 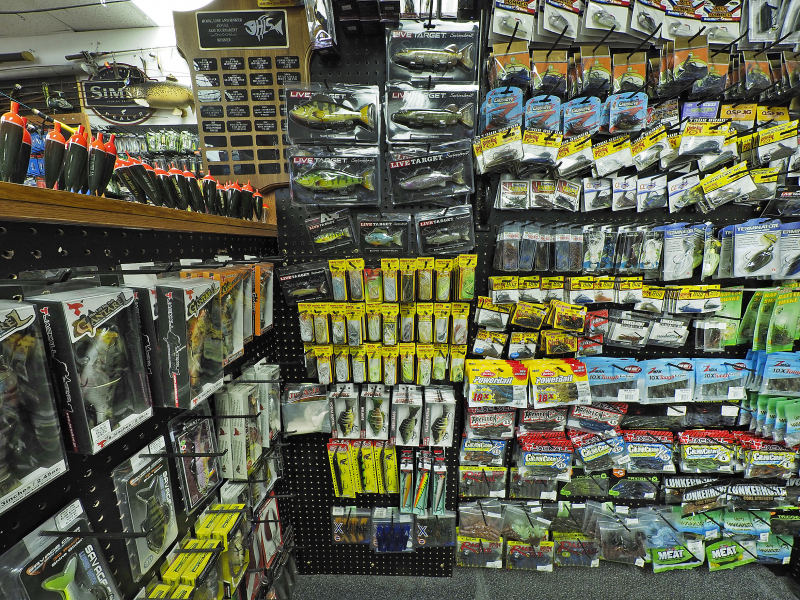 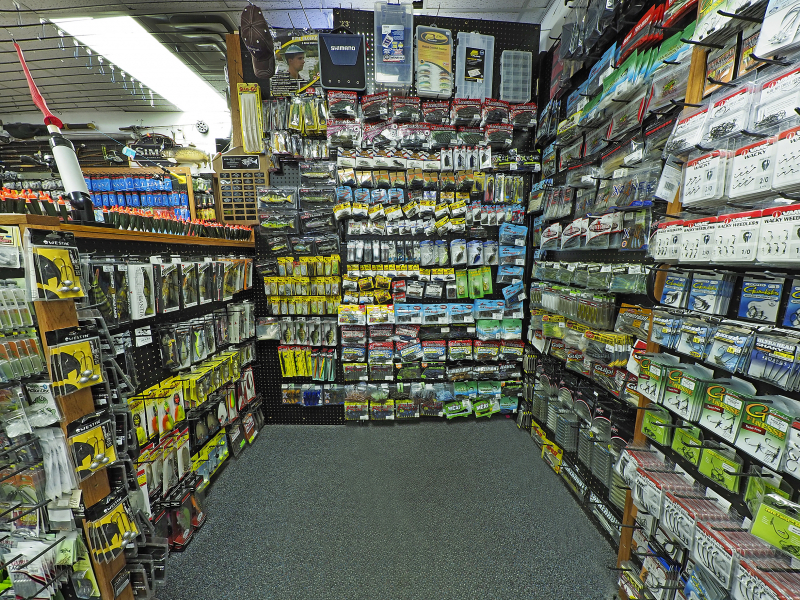 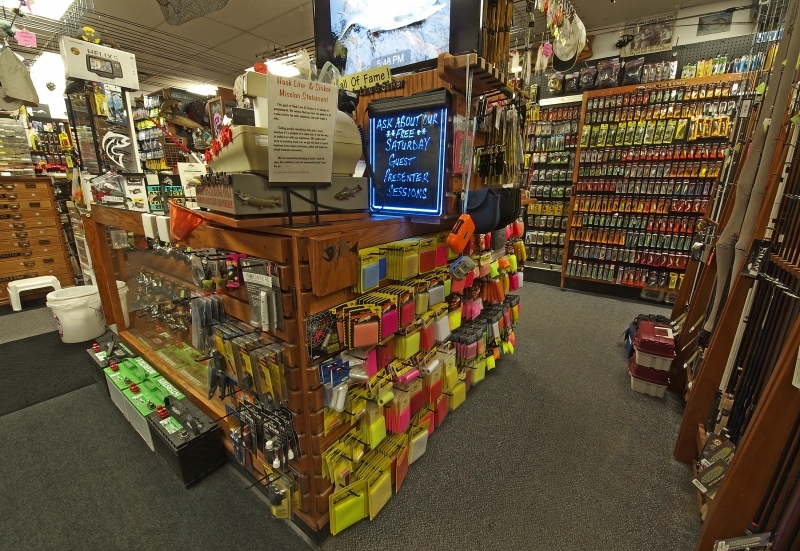 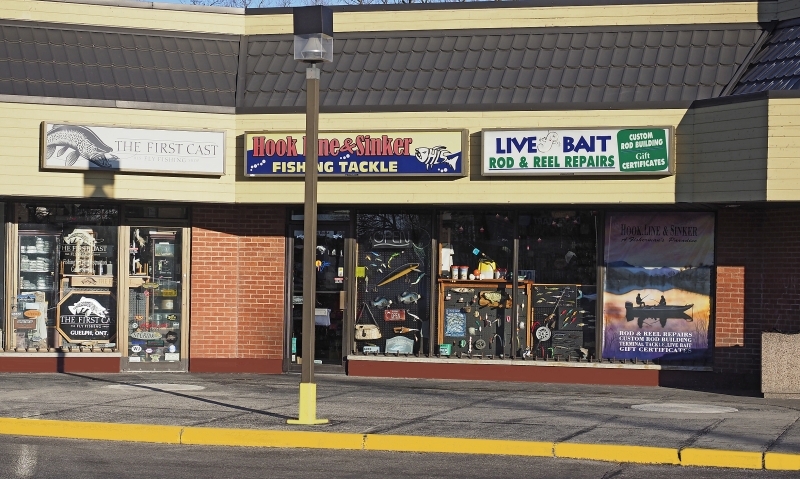 Hook, Line and Sinker Fishing Tackle, Home of The First Cast Fly Shop, was established in April of 1995. 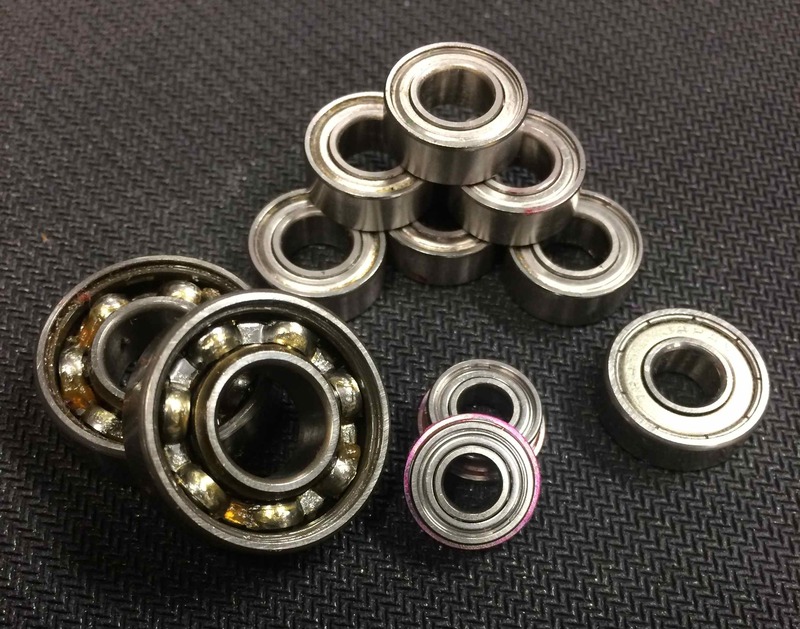 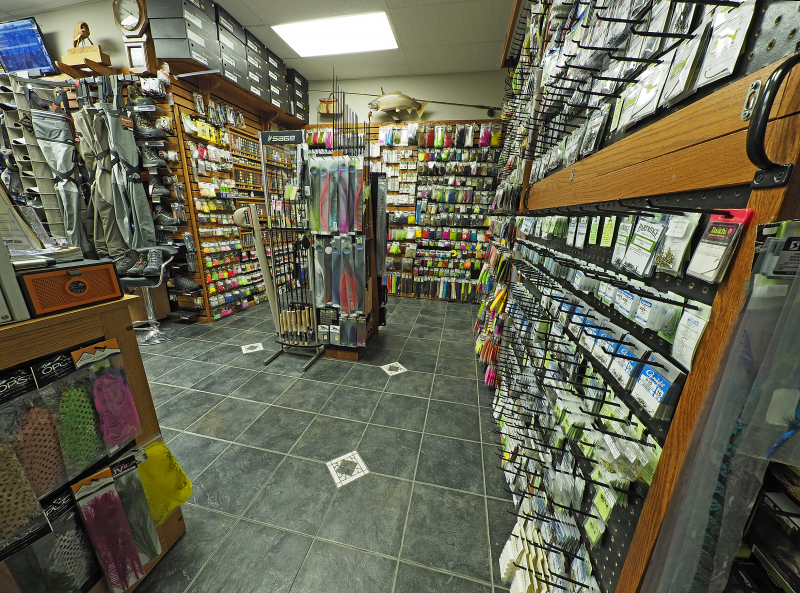 After over TWENTY YEARS in business, we have evolved on the premise that quality customer service and a non-intimidating atmosphere is as important as having a large selection of retail items. 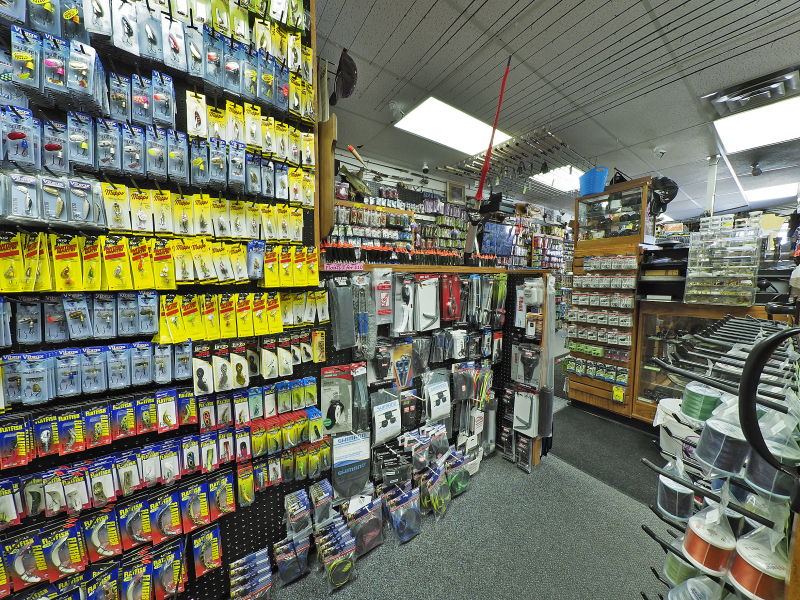 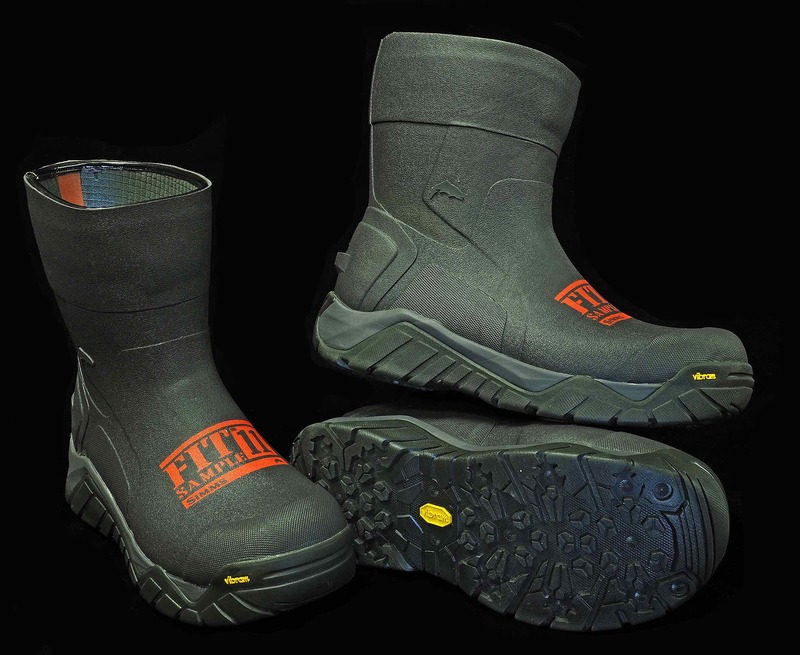 We are always striving for the highest standards in the industry and are proud of all the products we retail. 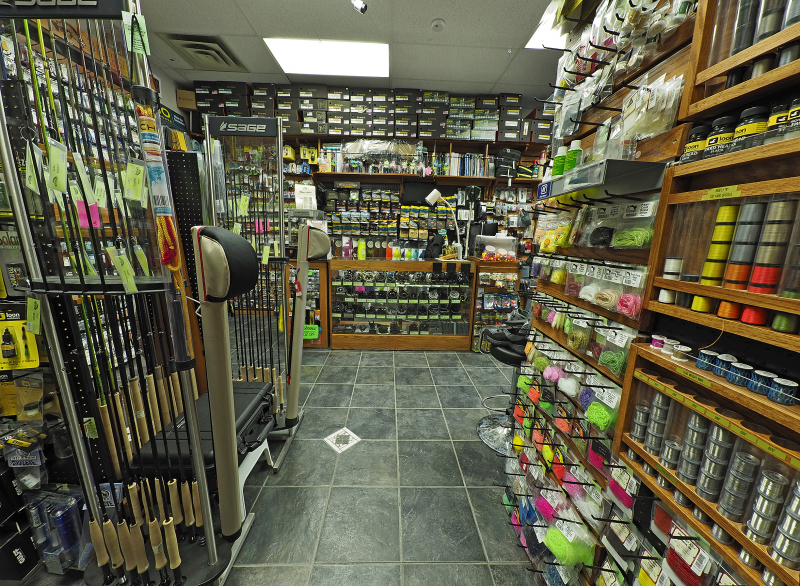 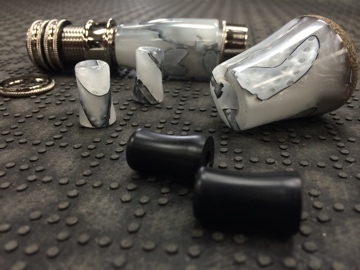 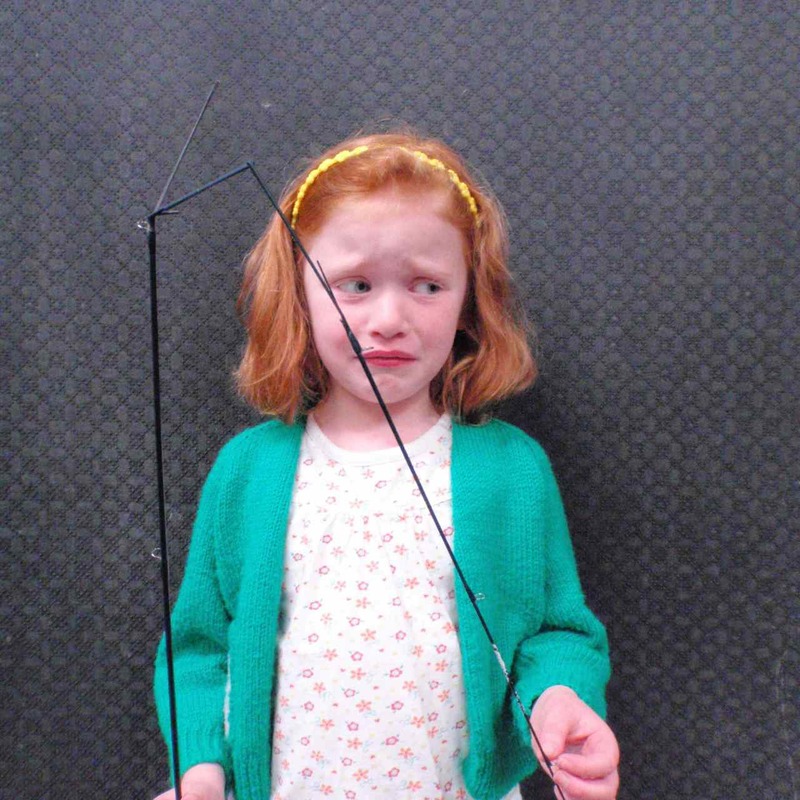 As a fairly small store, lesson provider, and guiding service, we are able to give you that personalized treatment. 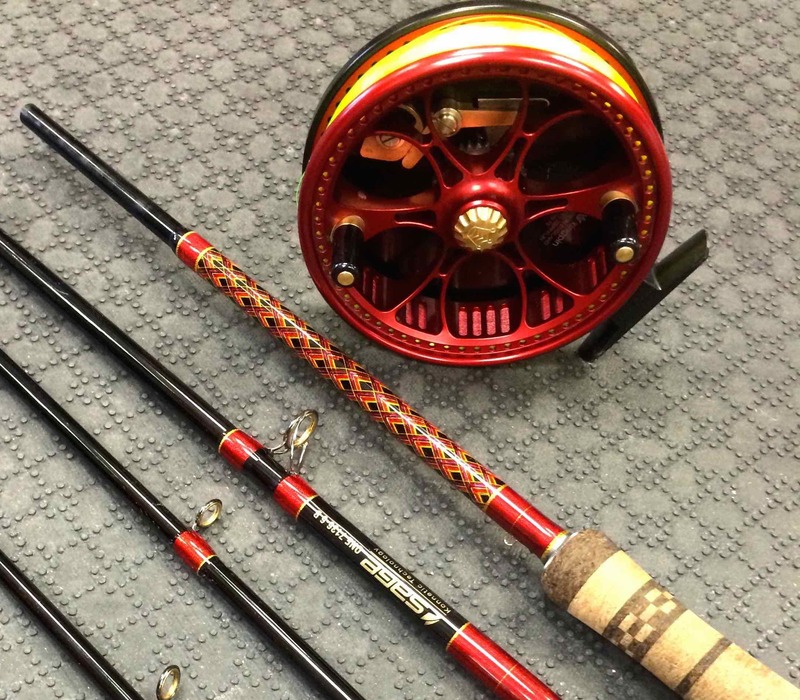 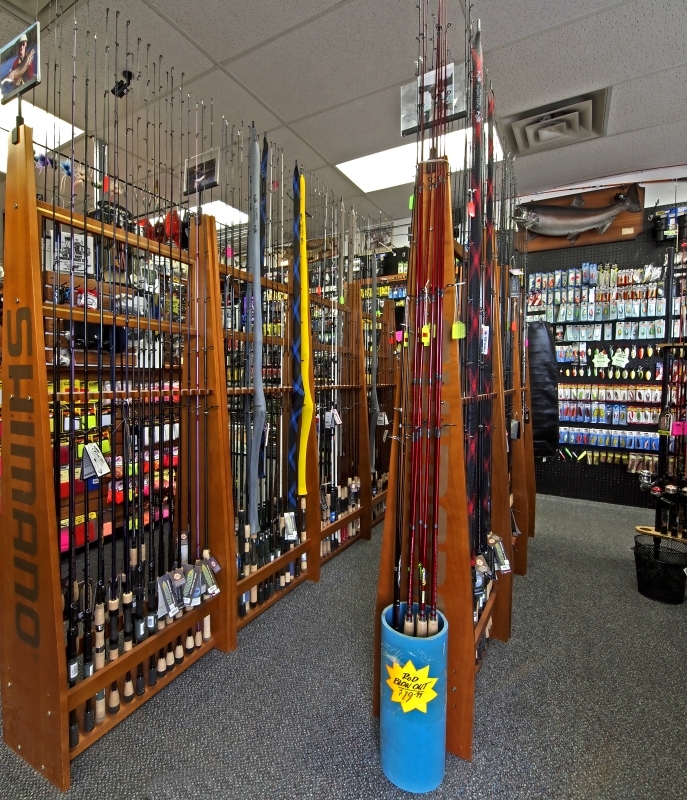 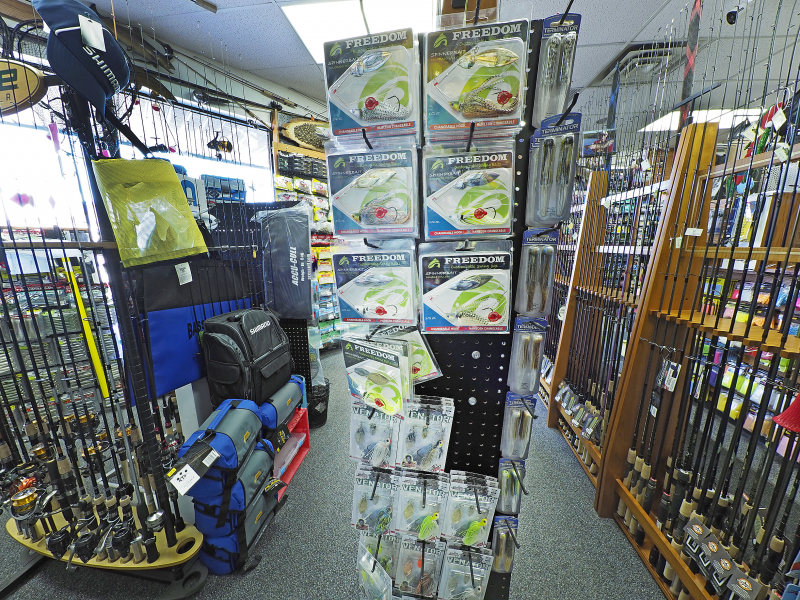 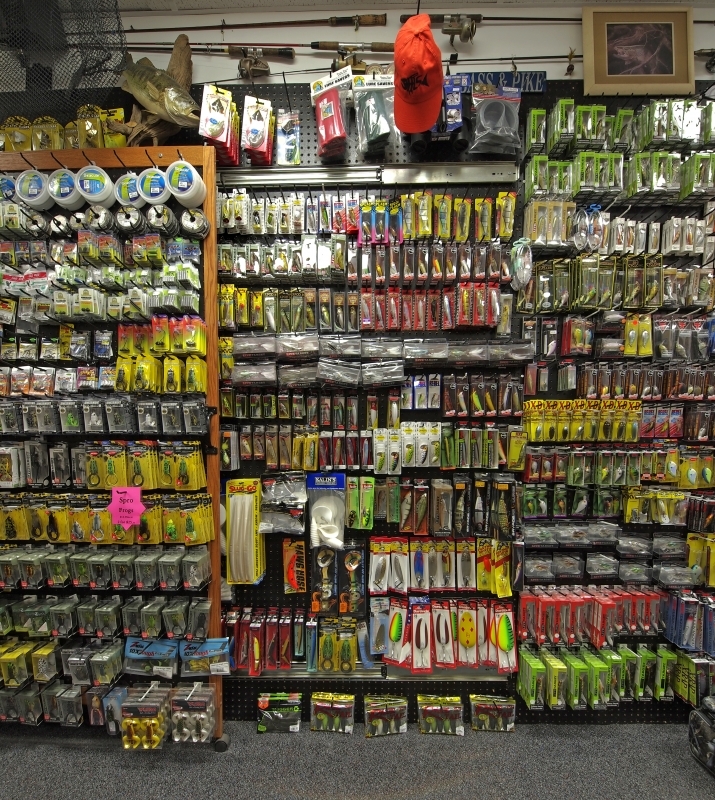 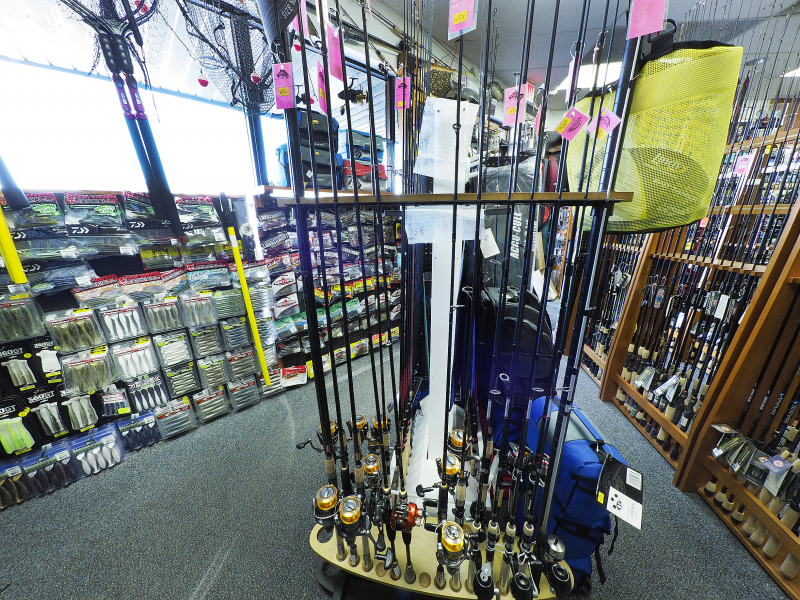 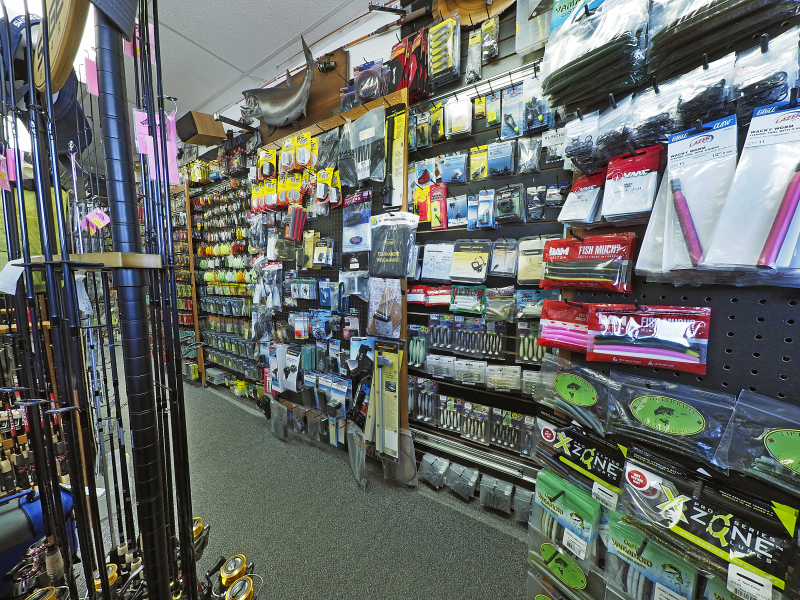 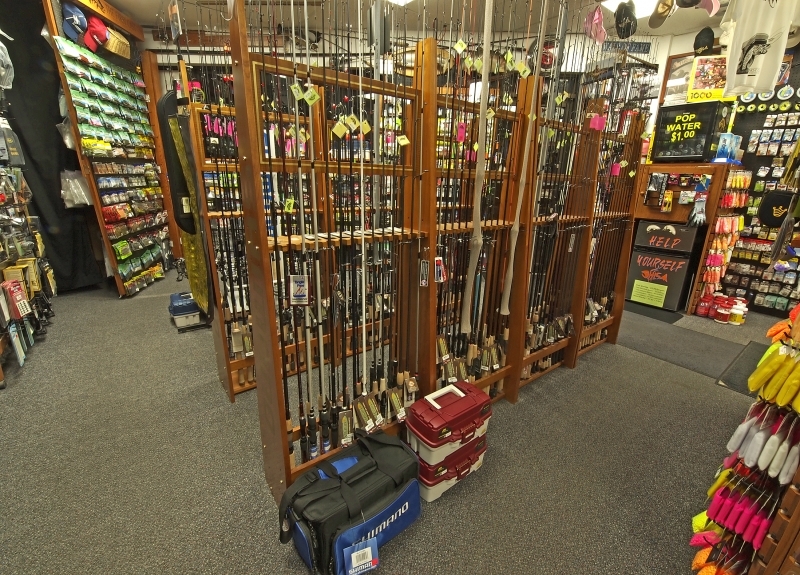 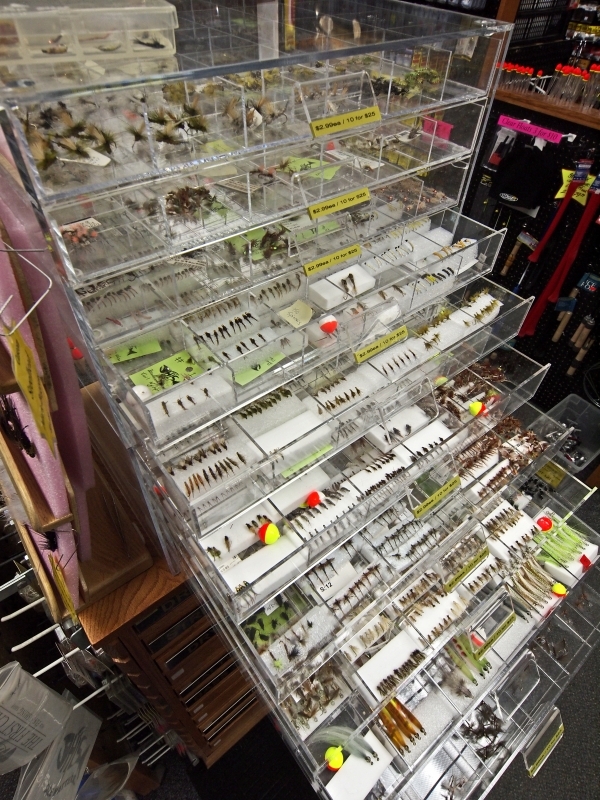 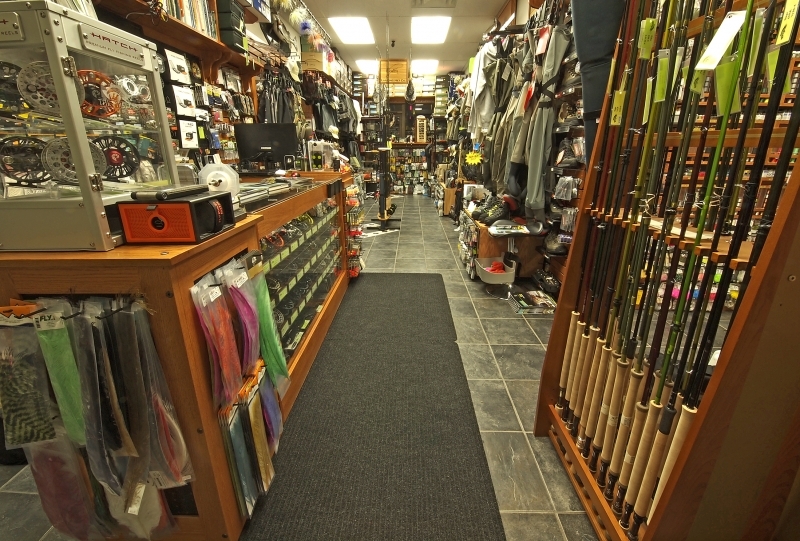 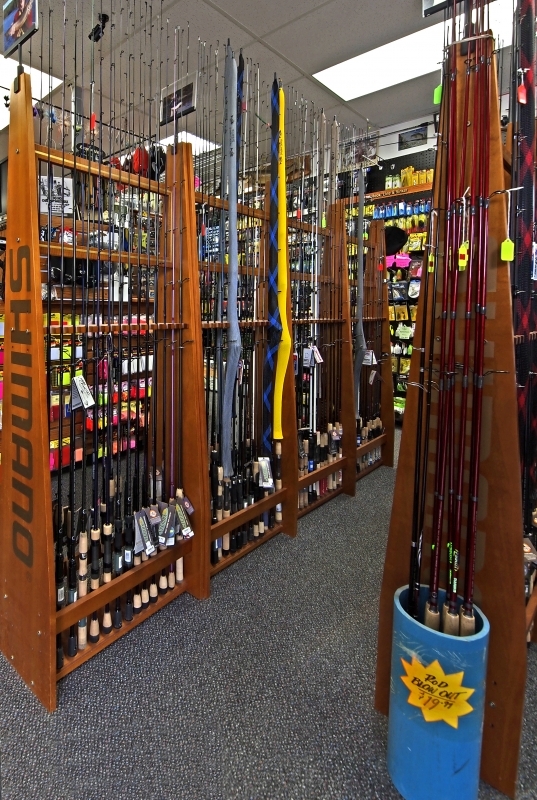 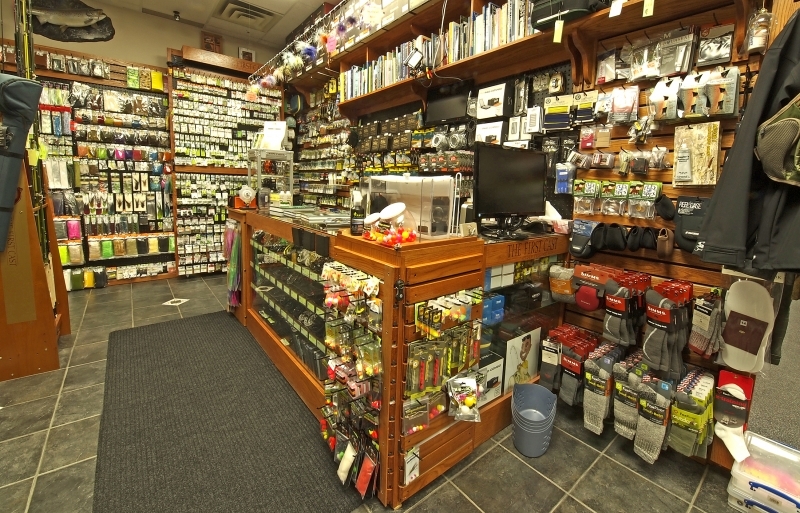 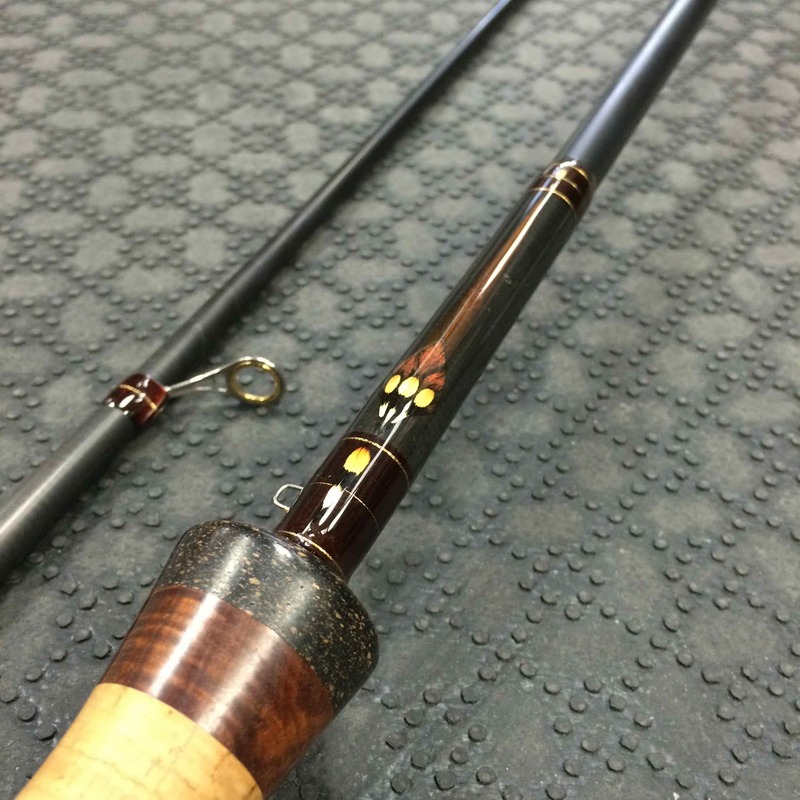 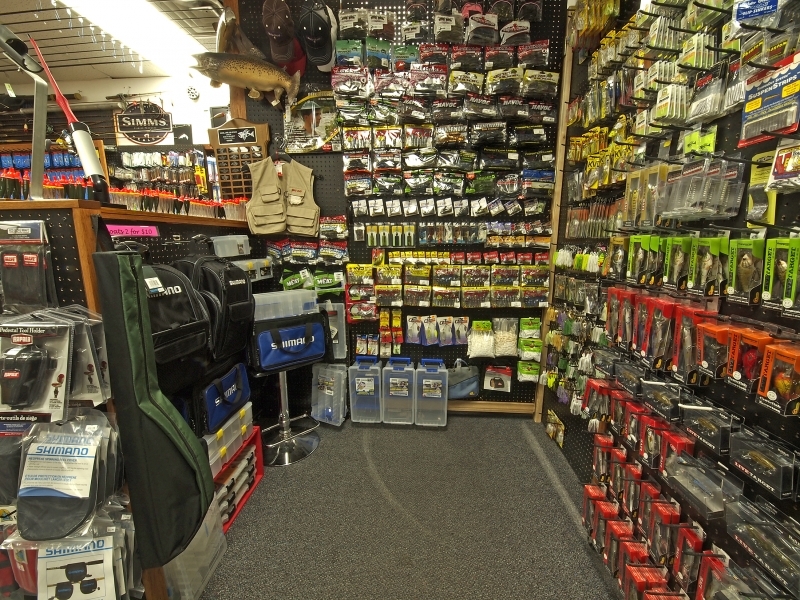 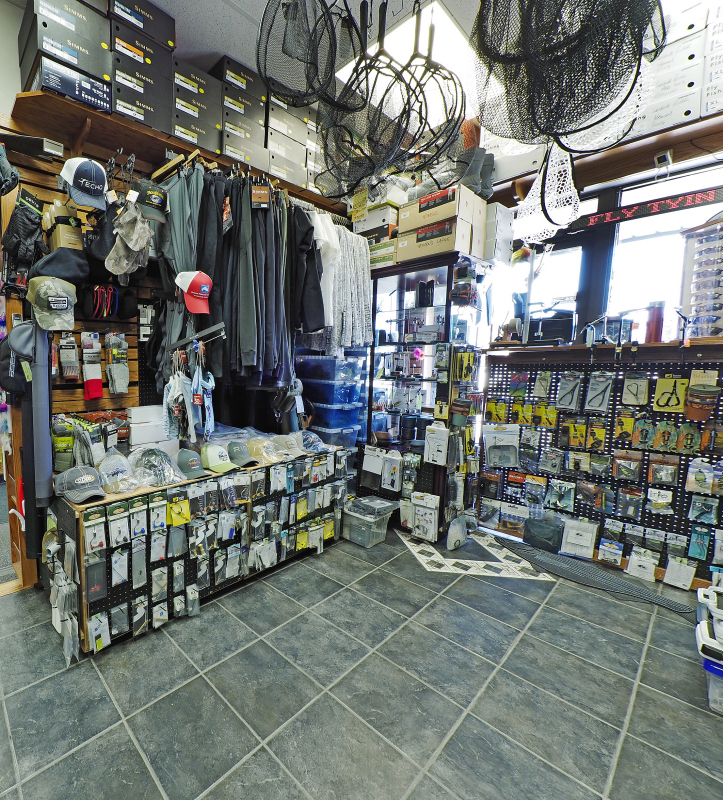 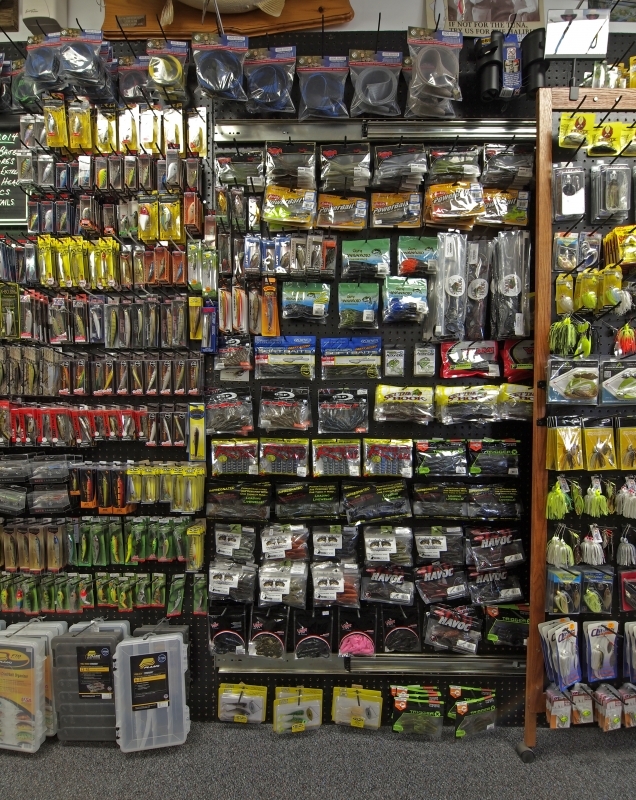 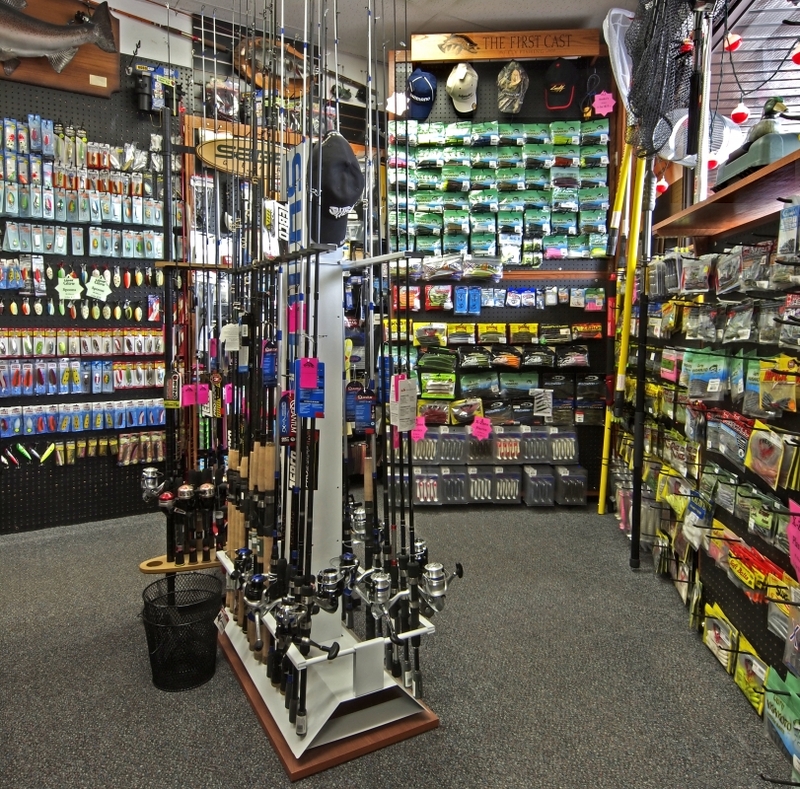 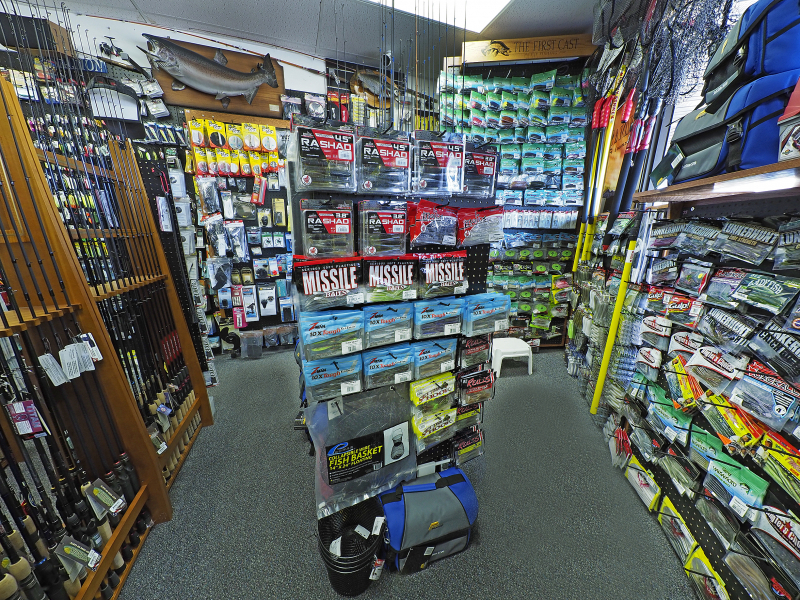 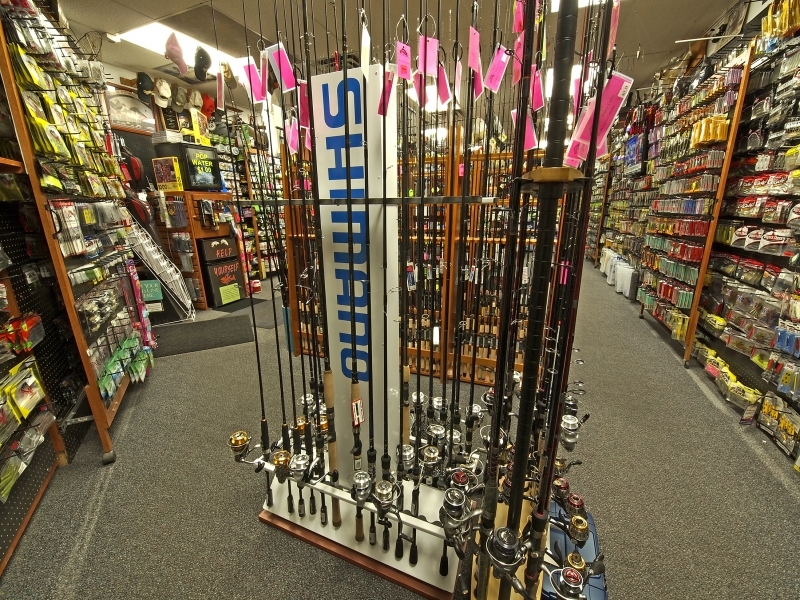 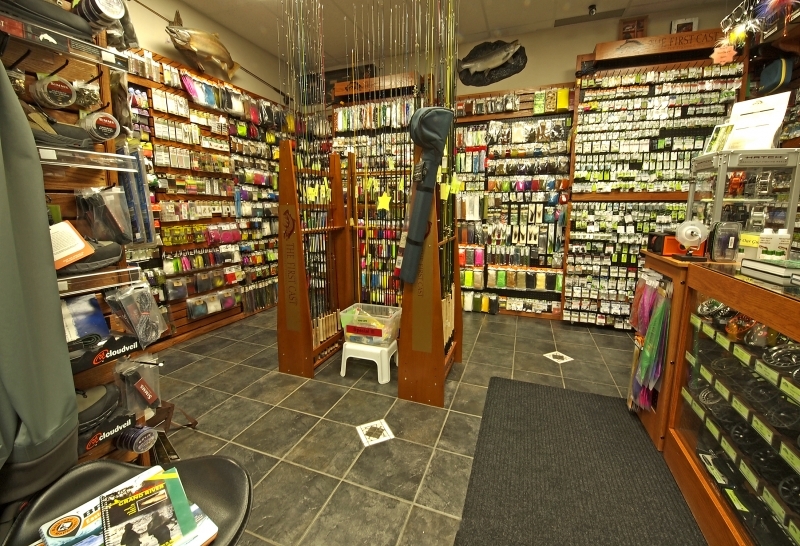 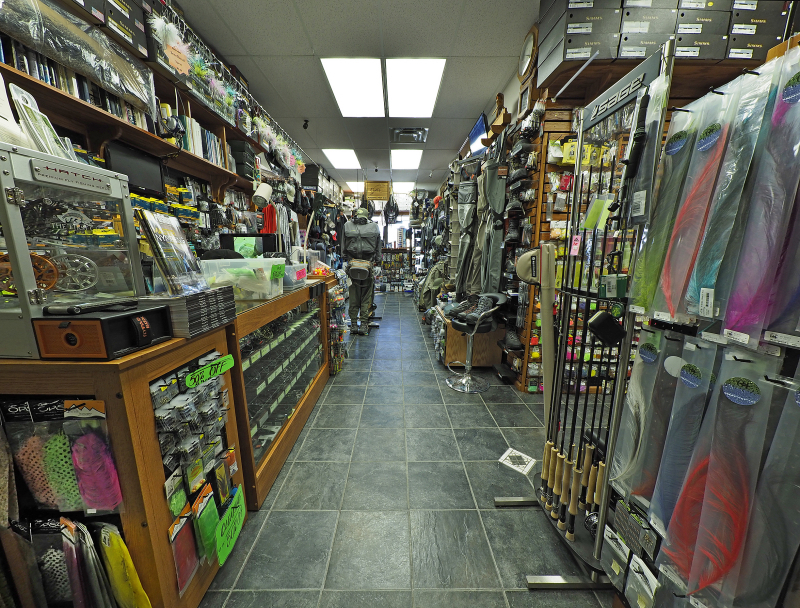 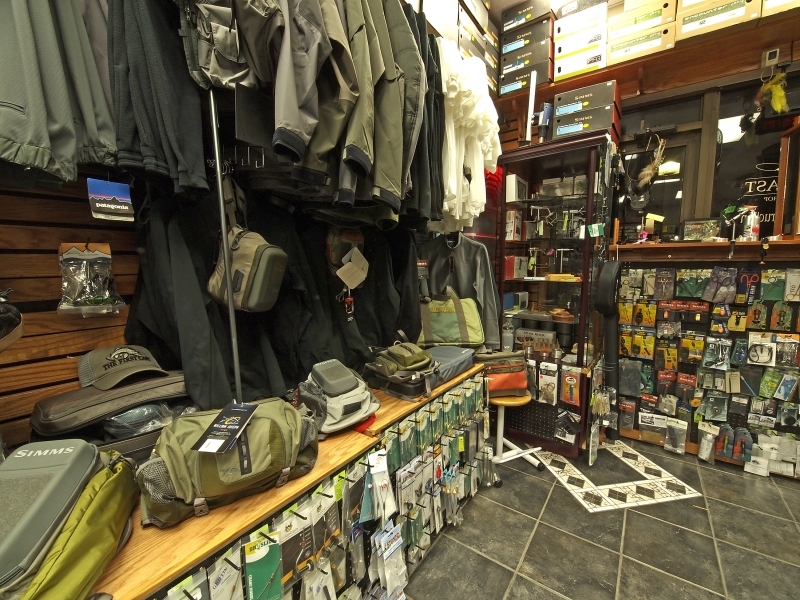 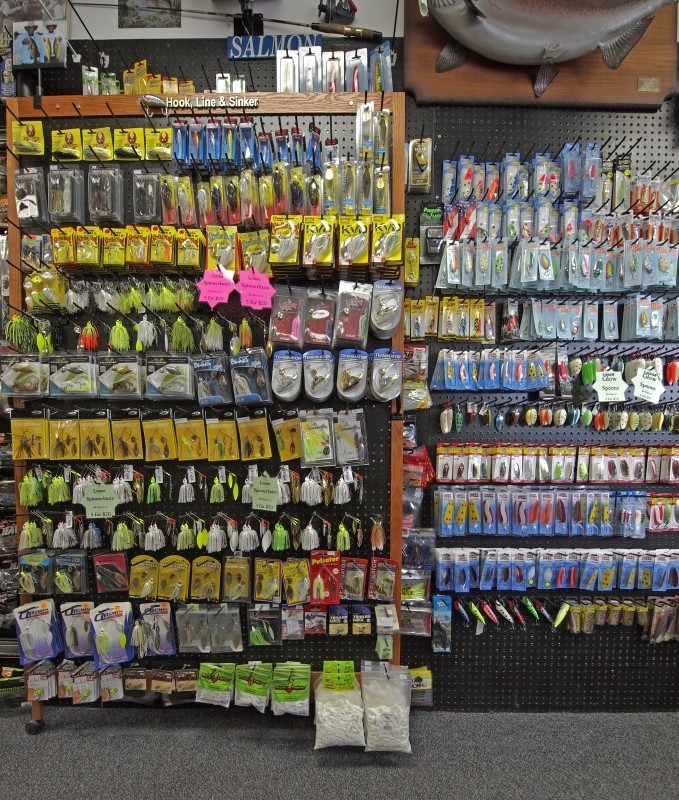 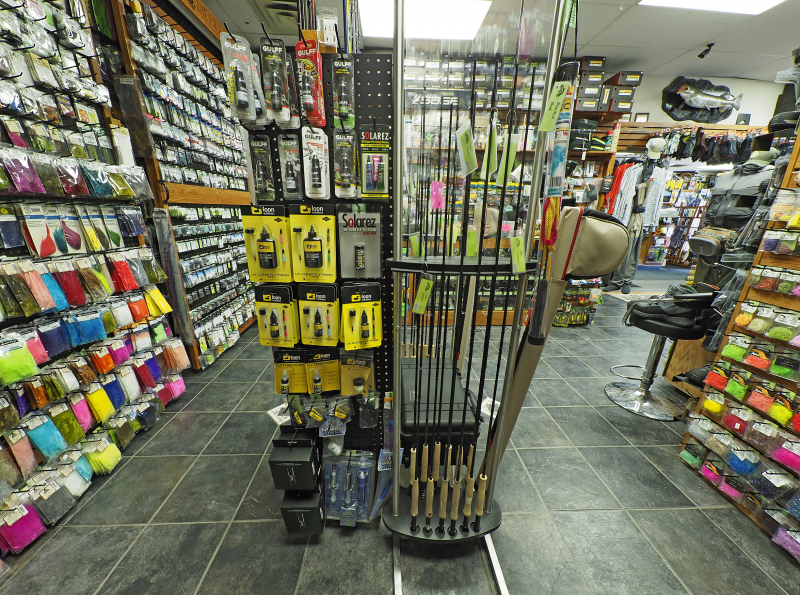 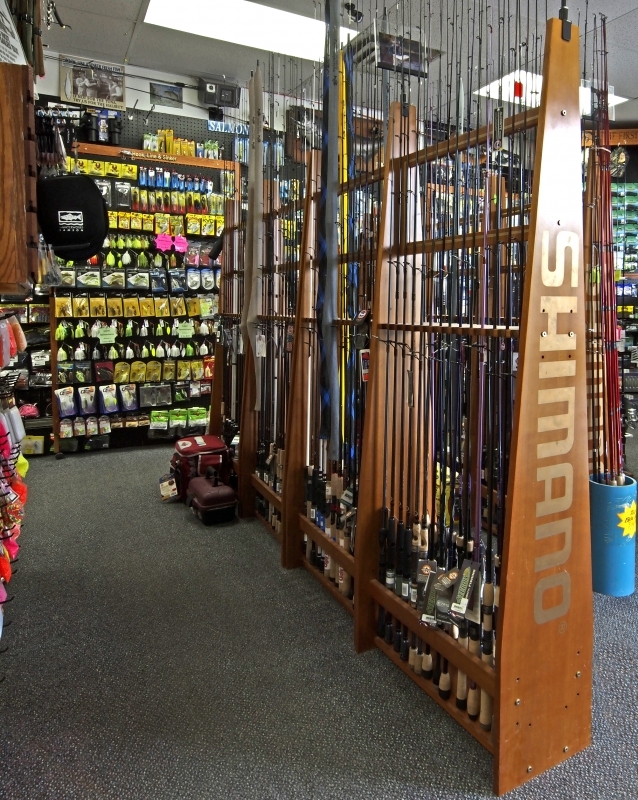 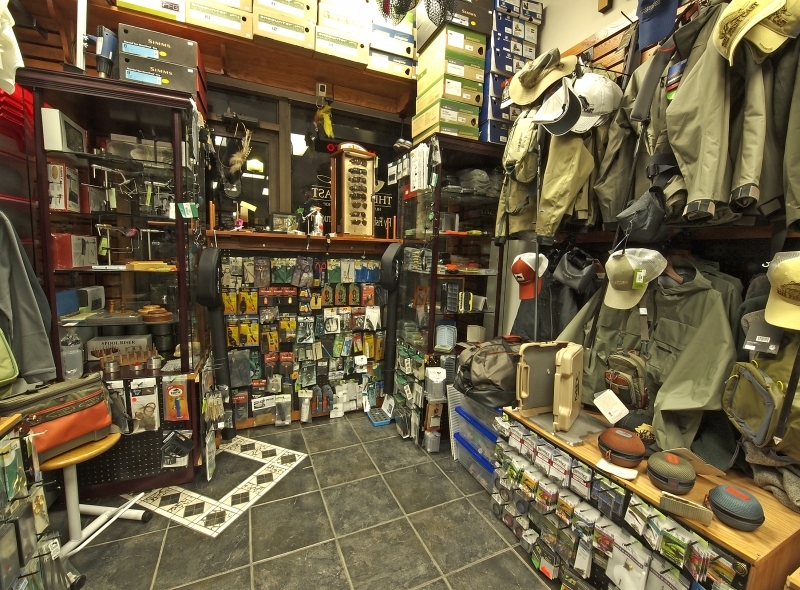 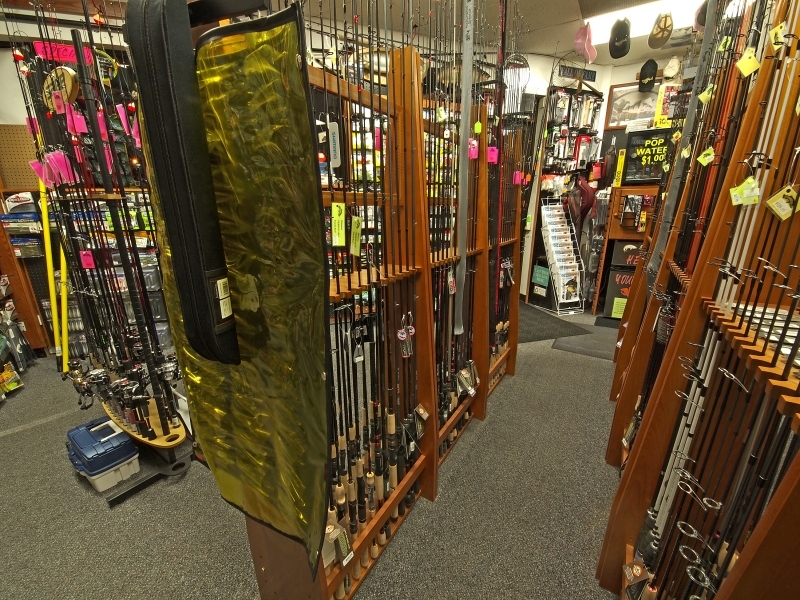 We are the #1 provider of Traditional Fishing Tackle and Fly Fishing Tackle in Guelph and the surrounding area. 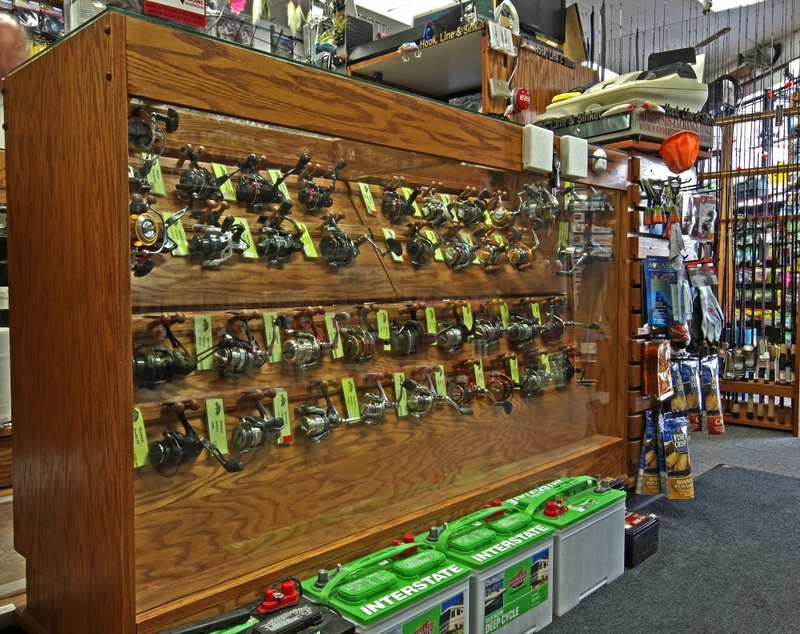 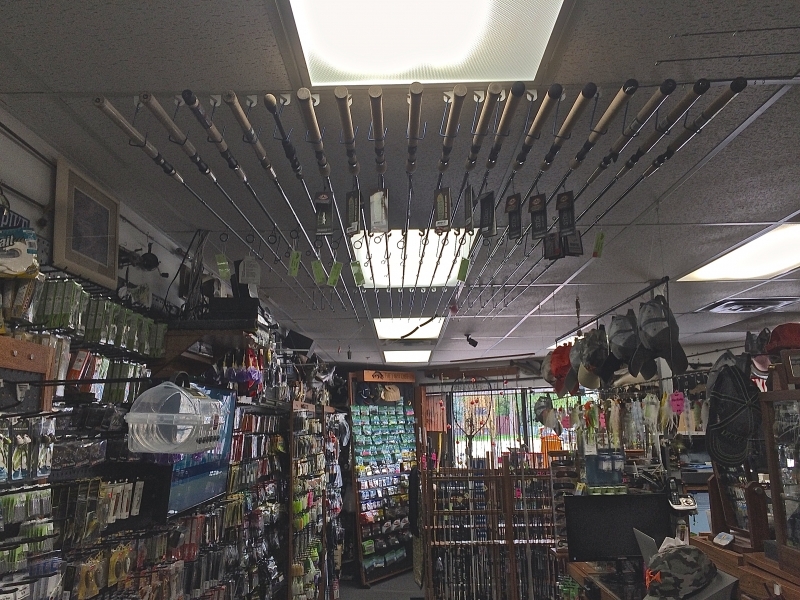 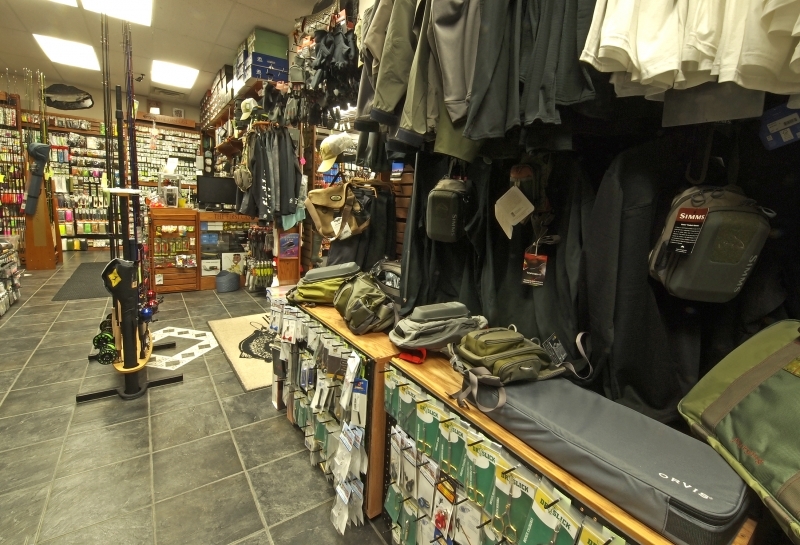 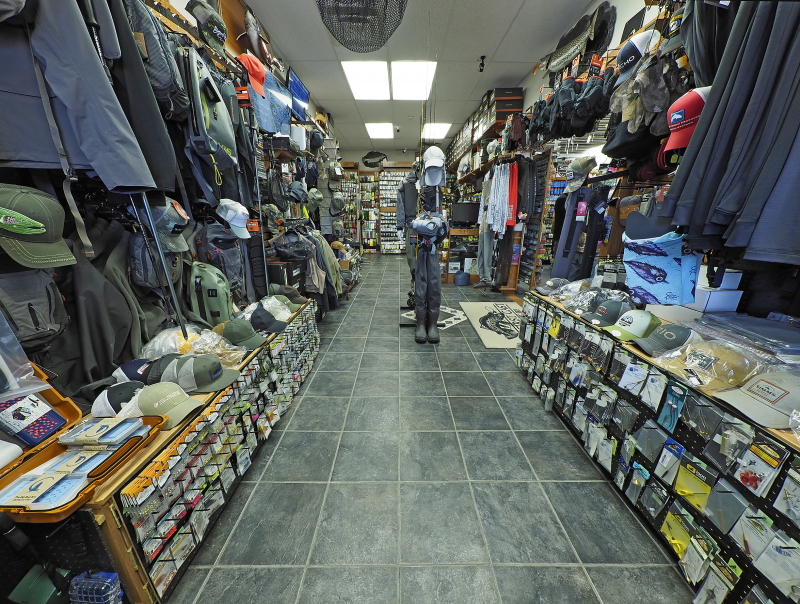 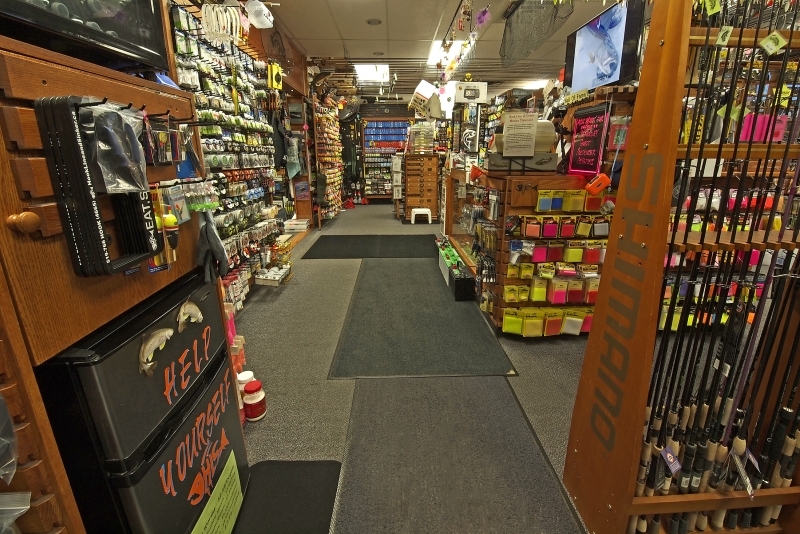 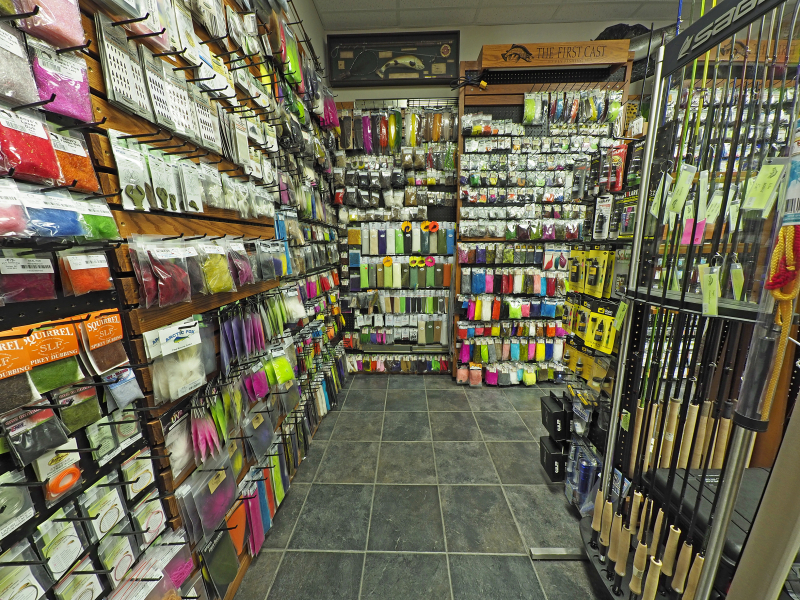 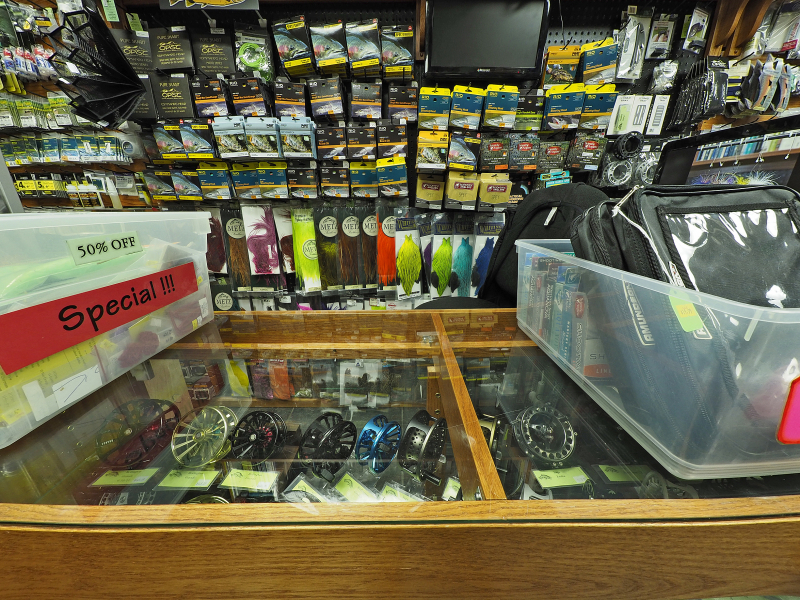 Our store houses the BEST local selection of fishing related equipment for ALL target species when it comes to BOTH Fly or Traditional Gear. 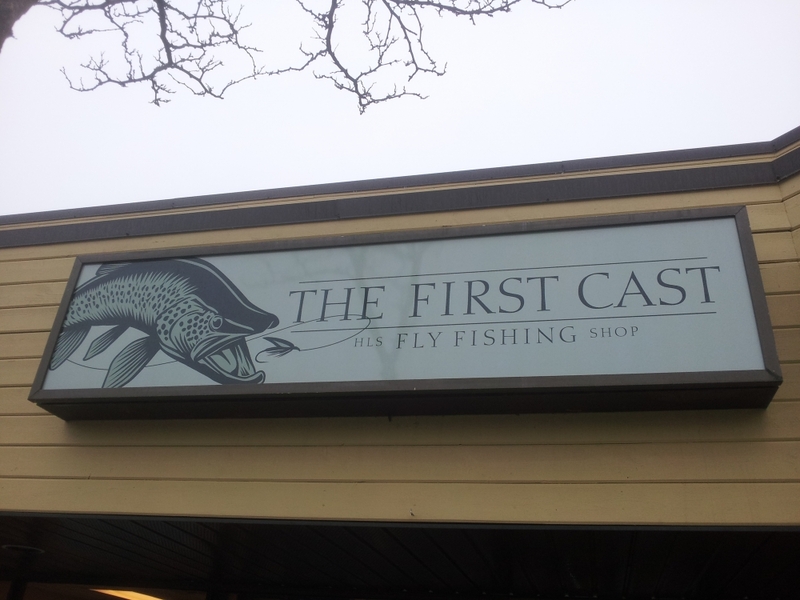 Via The First Cast Fly Shop (TFC), our sister store also provides Beginner, Intermediate, Advanced and Corporate Fly Fishing Lessons / Instructions and Fly Fishing Guiding on The Grand River, The Credit River, and The Conestogo Rivers. 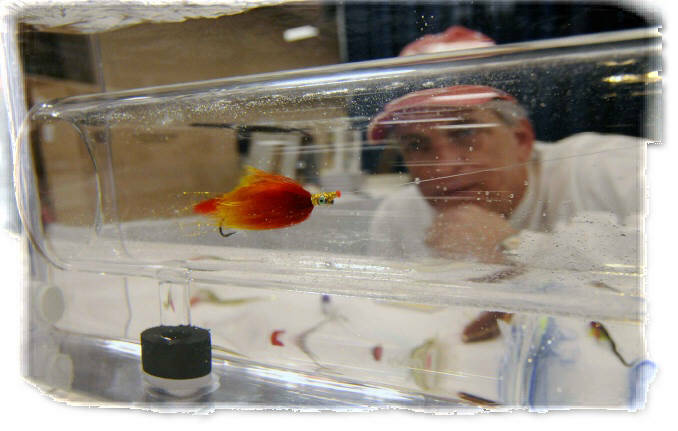 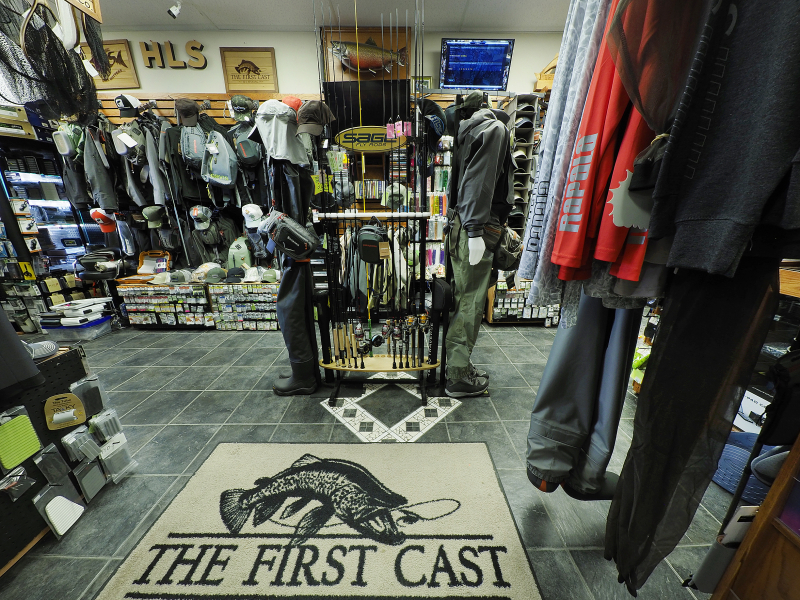 The First Cast Fly Shop (TFC), Hook Line and Sinker’s Fly Fishing Shop, is Ontario’s favourite Fly Fishing outfitter, guide service and lesson provider. 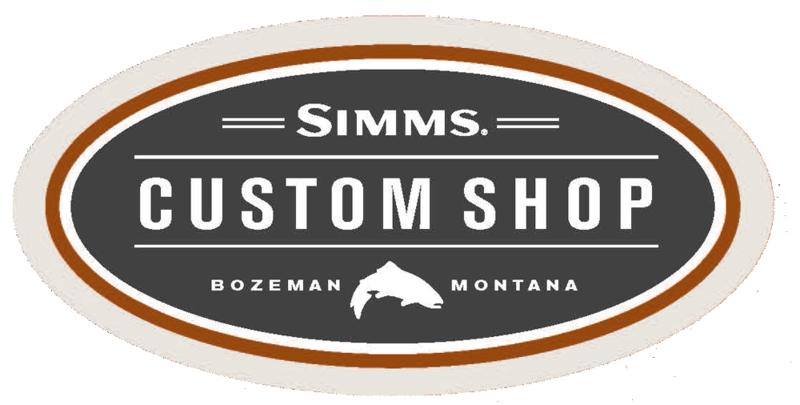 We are the leader in Fly Fishing instructions / lessons and guiding in the immediate and surrounding area. 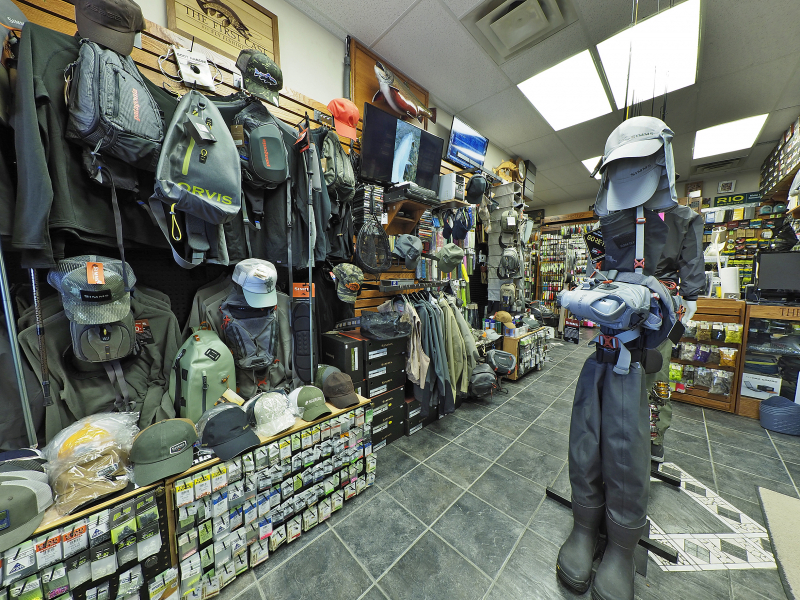 Our Guiding Services targets Brown Trout, Rainbow Trout, Brook Trout and Smallmouth Bass and we concentrate our Fly Fishing Education on the Grand River, the Credit River, and the Conestogo River. 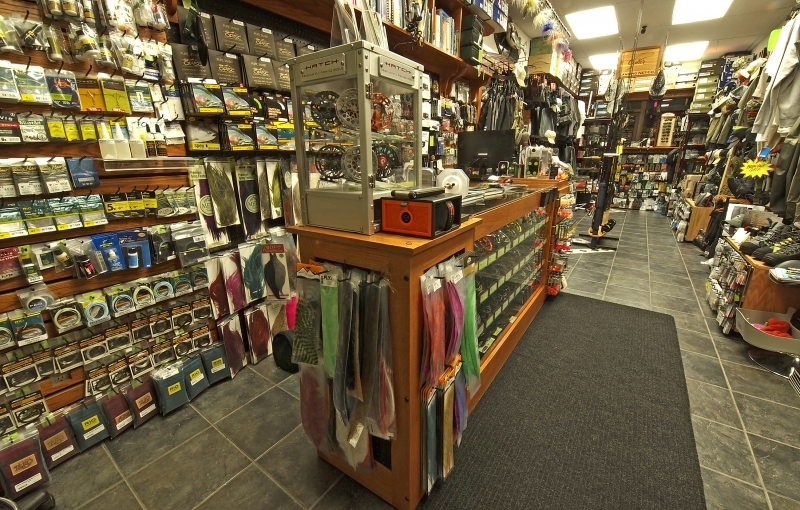 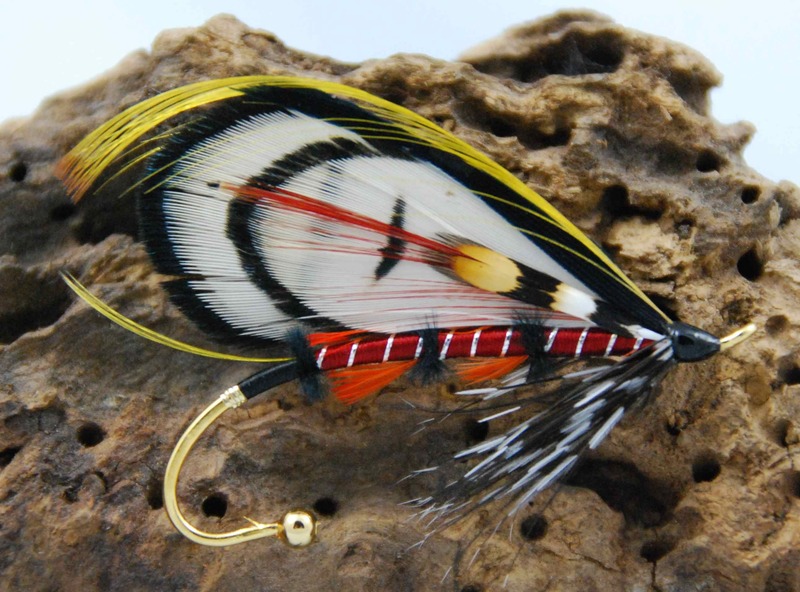 Our Fly Fishing Shop / Store is located just minutes from the world famous Tailwater Fly Fishery – “The Grand River”. 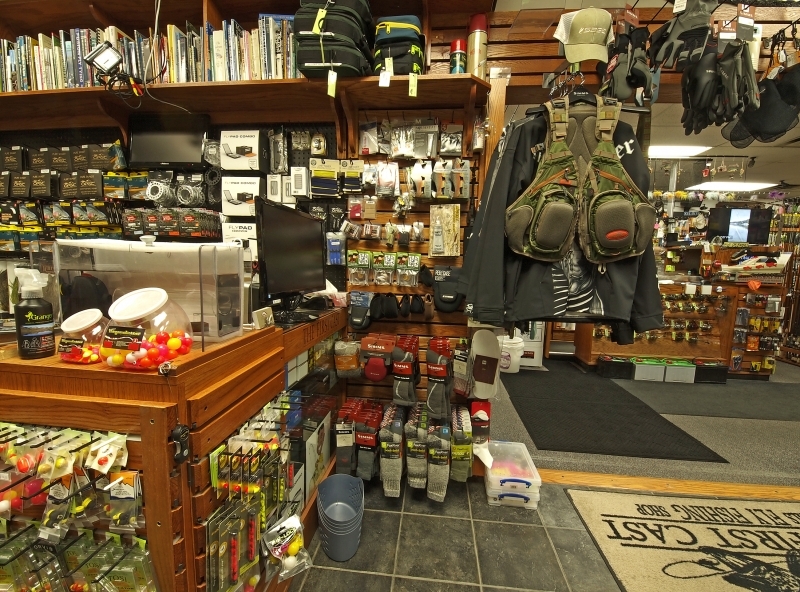 Since we are centrally located between Lake Ontario, Lake Erie, Georgian Bay and Lake Huron, we also guide for Steelhead and migratory Chinook and Coho Salmon on the tributaries of these Great Lakes. 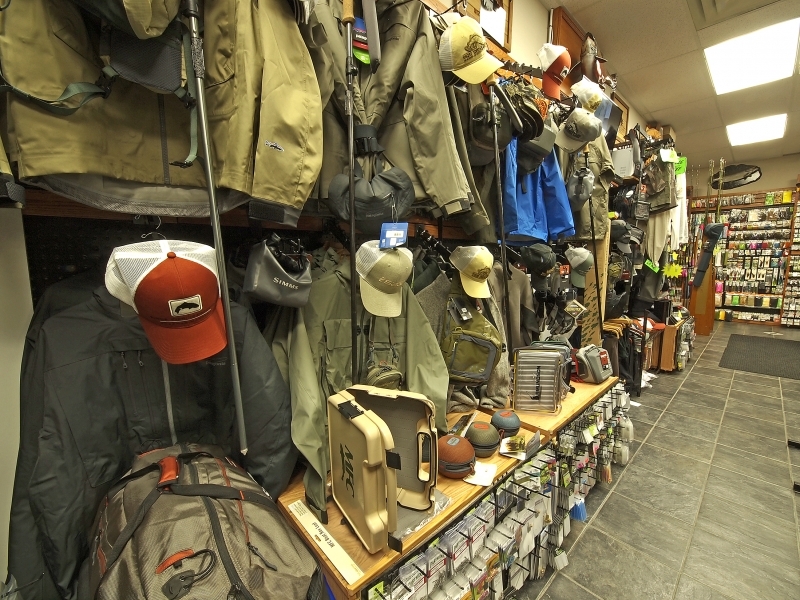 Aside from the Upper Grand River and Credit River, the other Ontario Rivers that we guide include: the Lower Grand River, the Bighead River, the Saugeen River, the Nottawasaga River, the Maitland River, the Lower Credit River, the Niagara River and a few other lesser known lakes and streams. 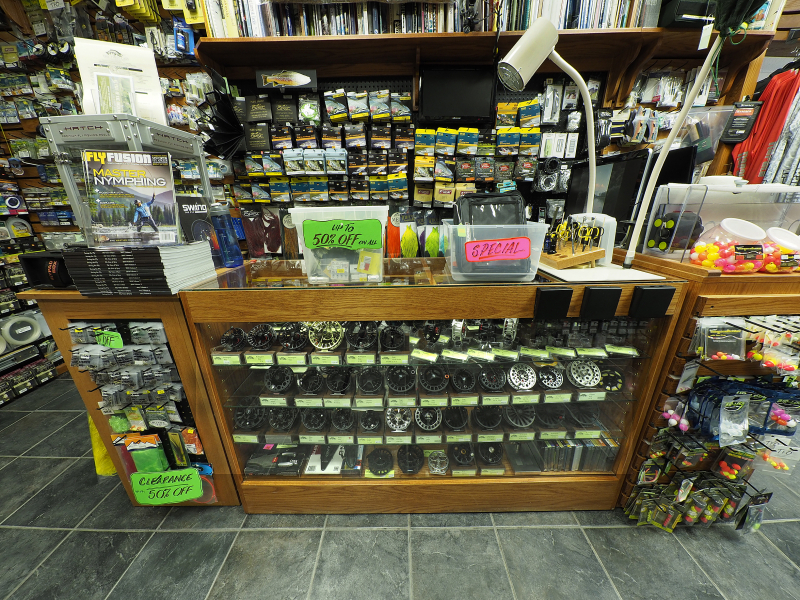 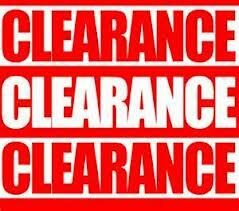 Can’t make the trip to our store in Guelph? 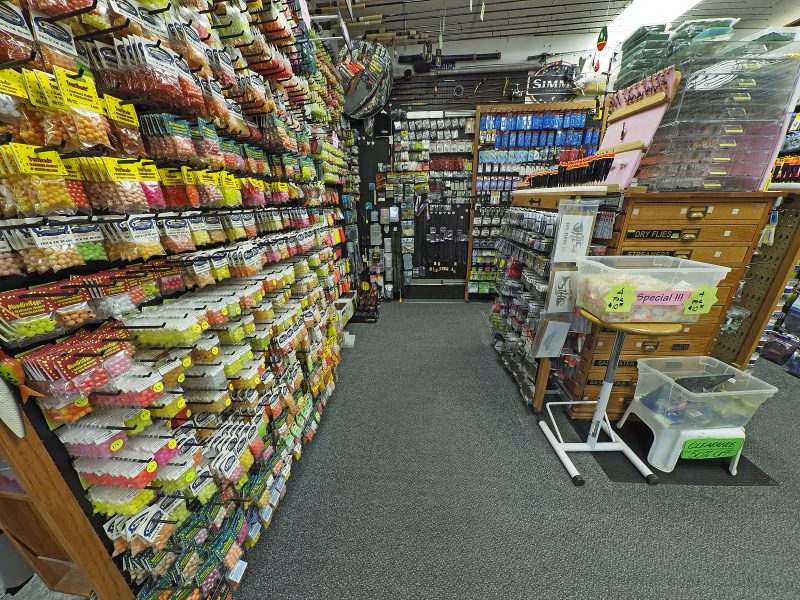 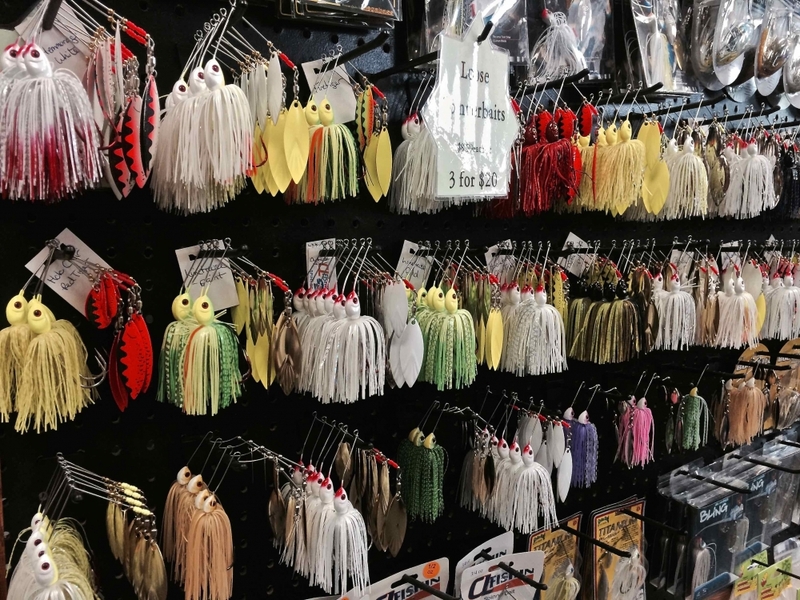 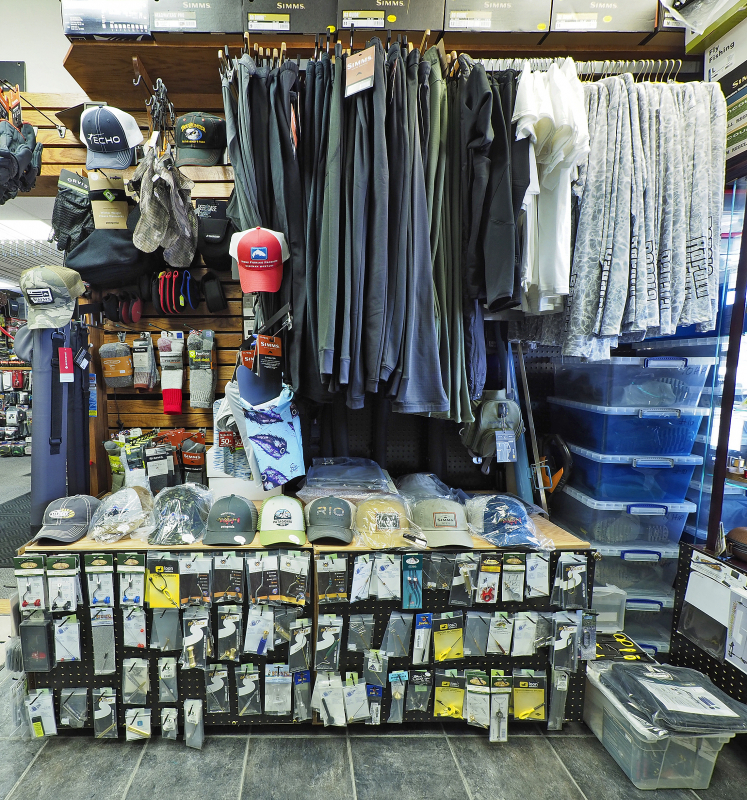 Although we would love to see you in the store to chat and hear your fishing stories, “Mail Order” is another viable and cost effective option that we offer our customers. 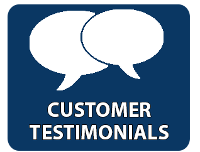 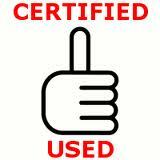 See here for current customer testimonials. 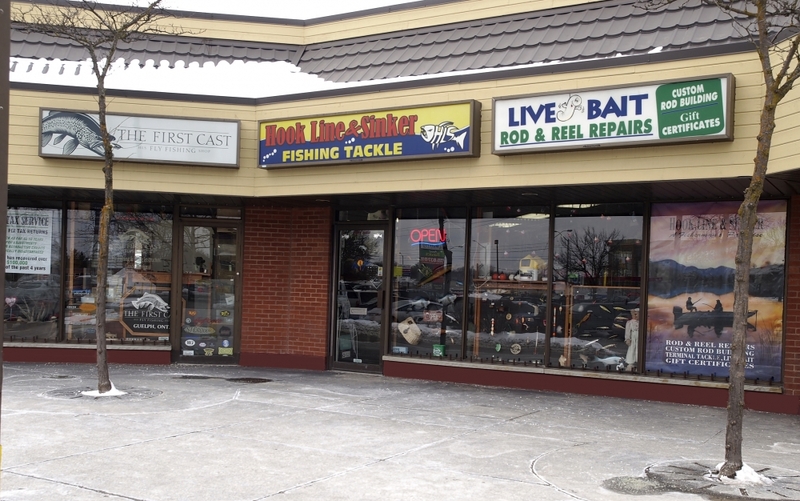 HLS & TFC Store Front. 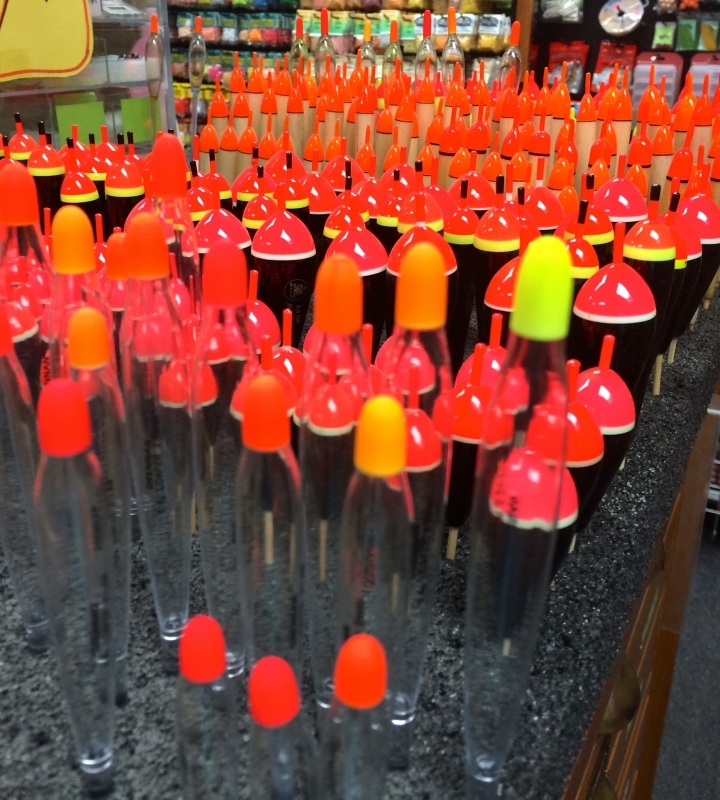 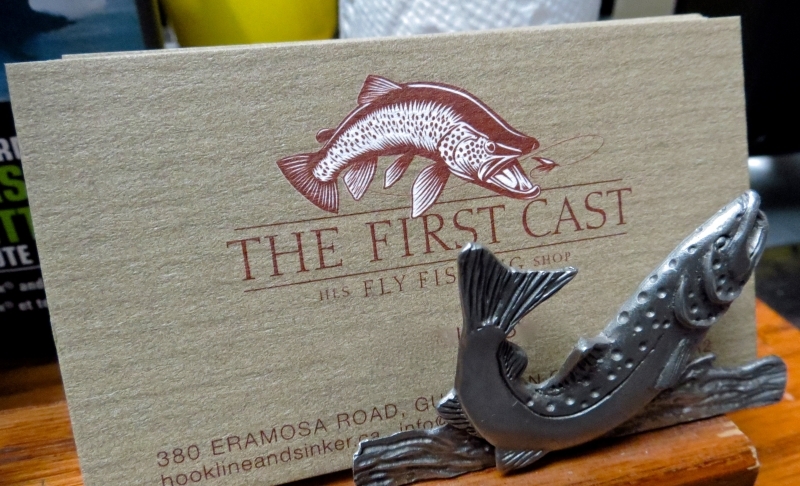 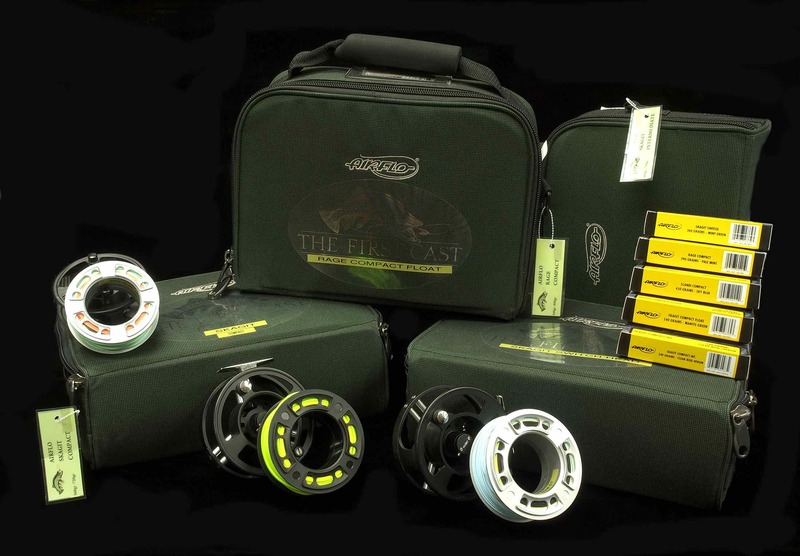 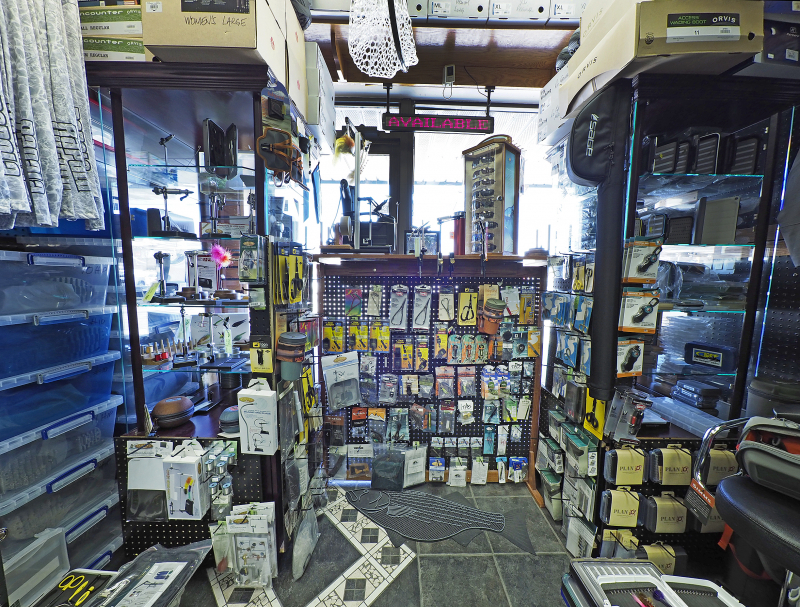 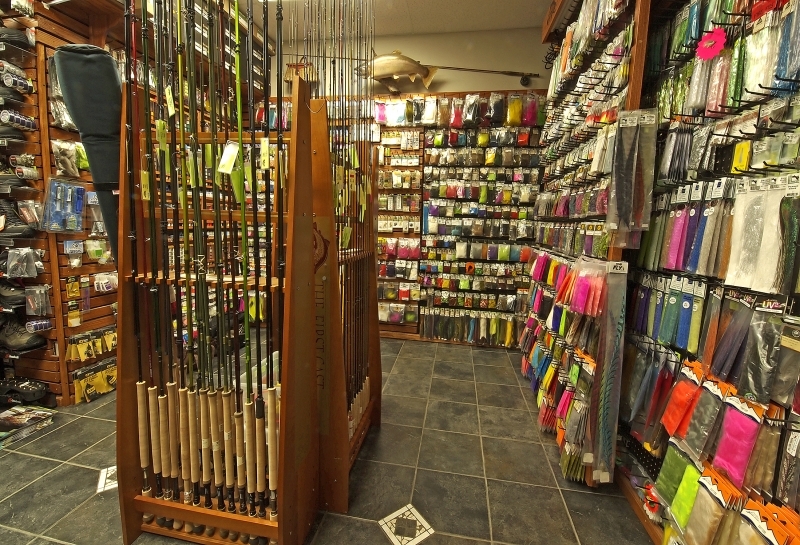 Hook, Line and Sinker Fishing Tackle - Home of The First Cast Fly Fishing Shop . 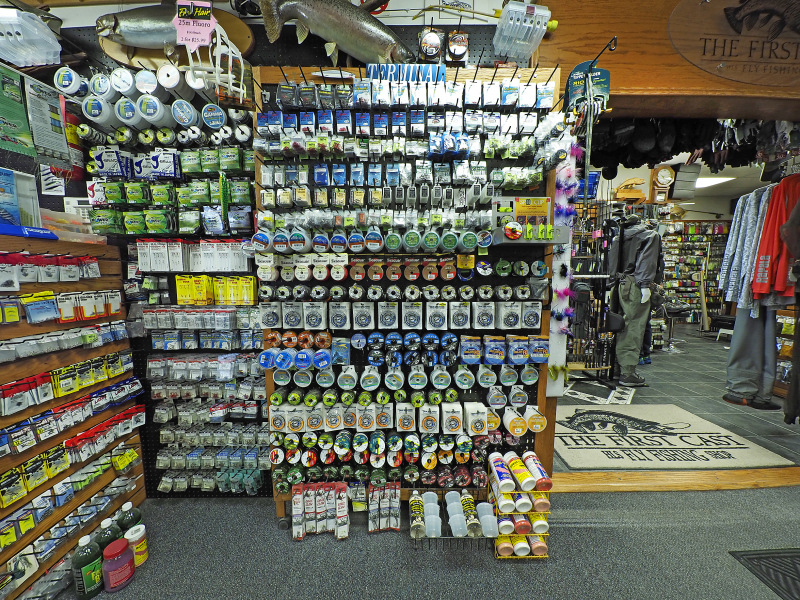 HLS - Store Random Product Pictures - Spinning Reel Display. 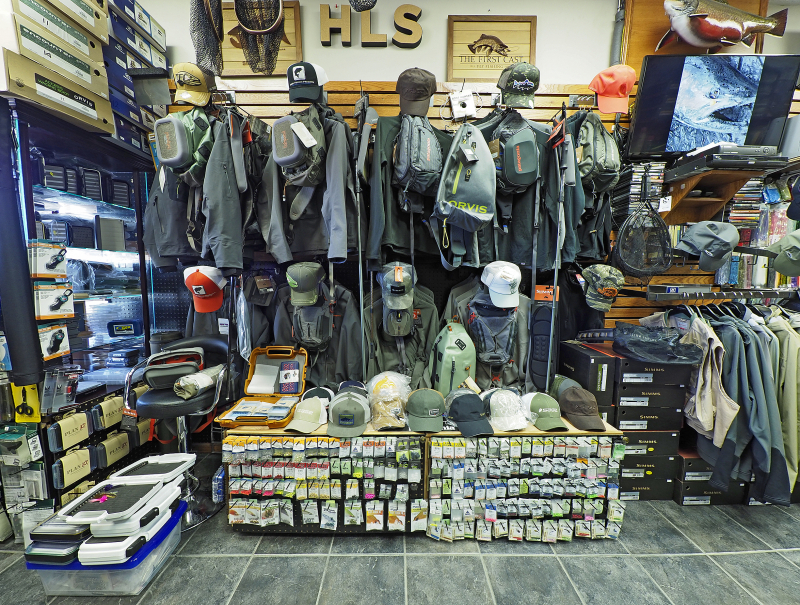 HLS & TFC Inside Store Photo. 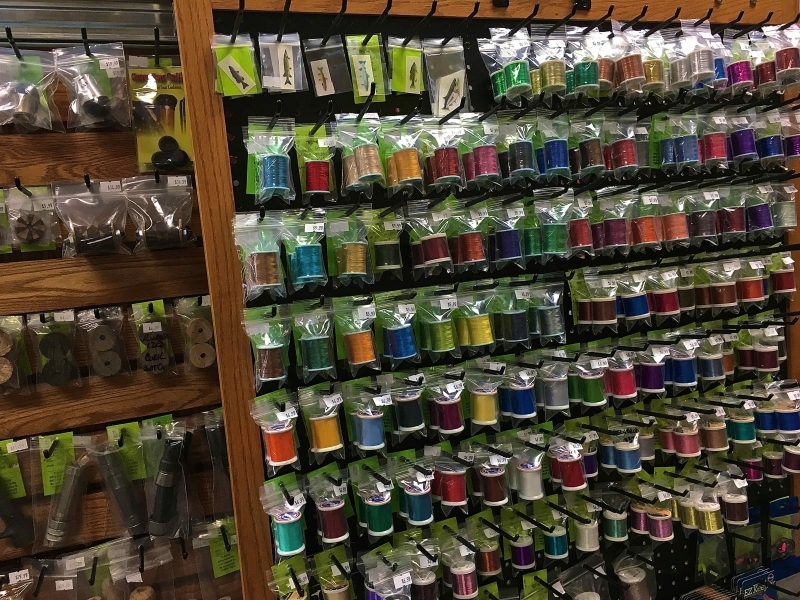 Rod Building - Rod Winding Wrapping Thread Selection - Gudebrod, Pro Wrap, Fuji & Pac Bay. 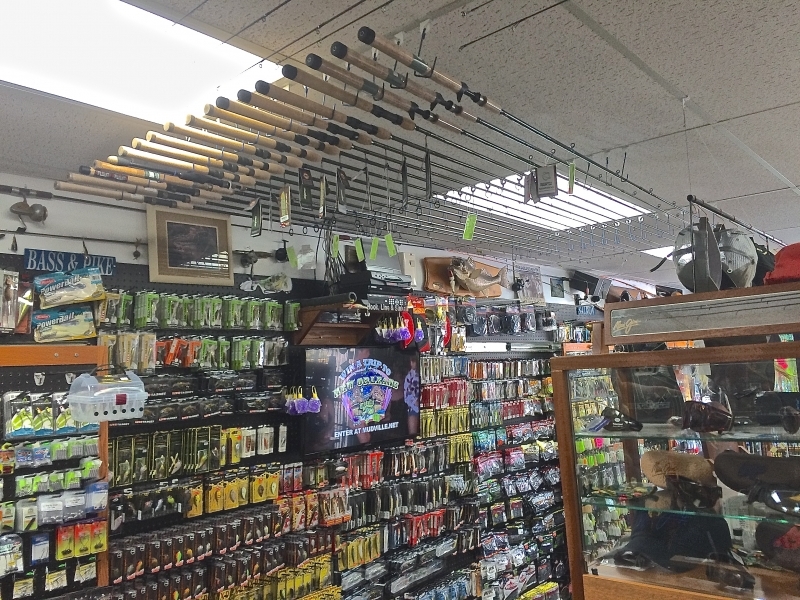 HLS - Store Random Product Pictures - Spinning Rod Racks. 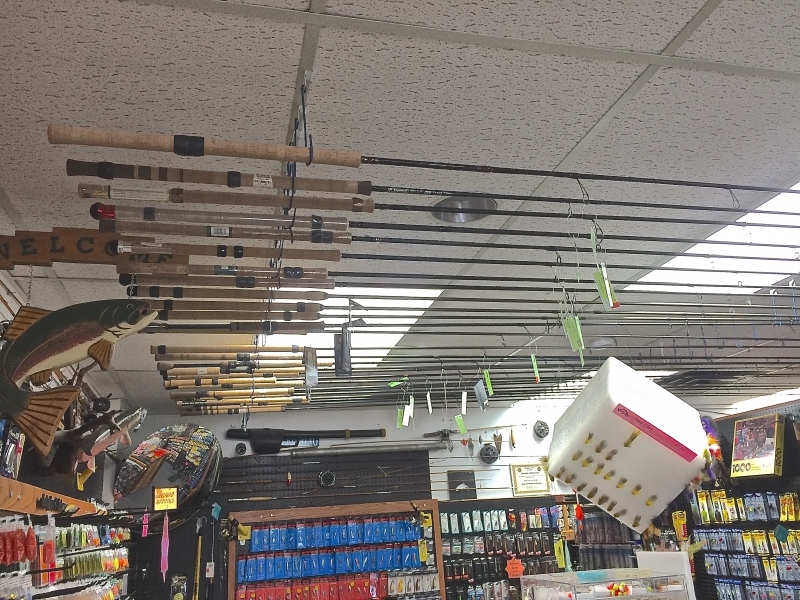 Float / Centerpin & Bottom Bouncing Rod Selection on Ceiling. 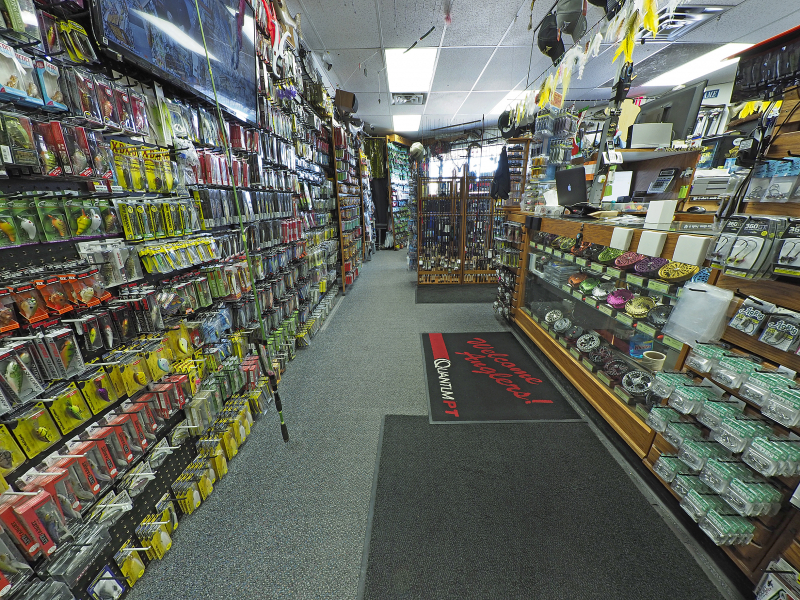 HLS - Store Random Product Pictures Spinning & Baitcast Rod Racks. 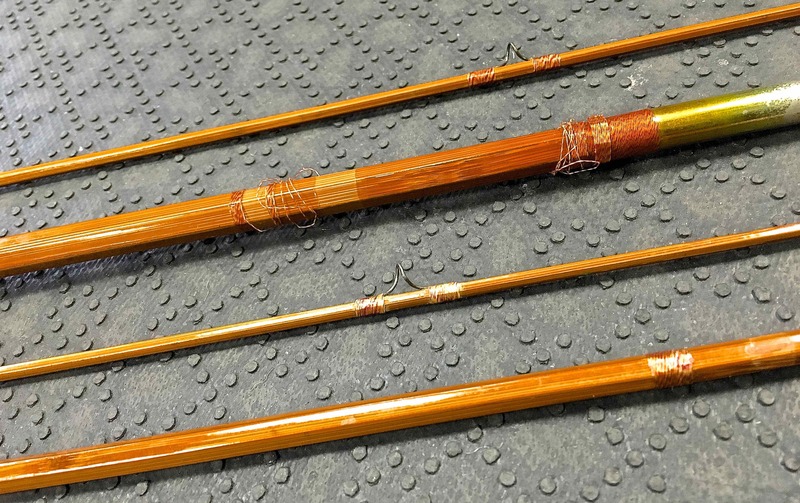 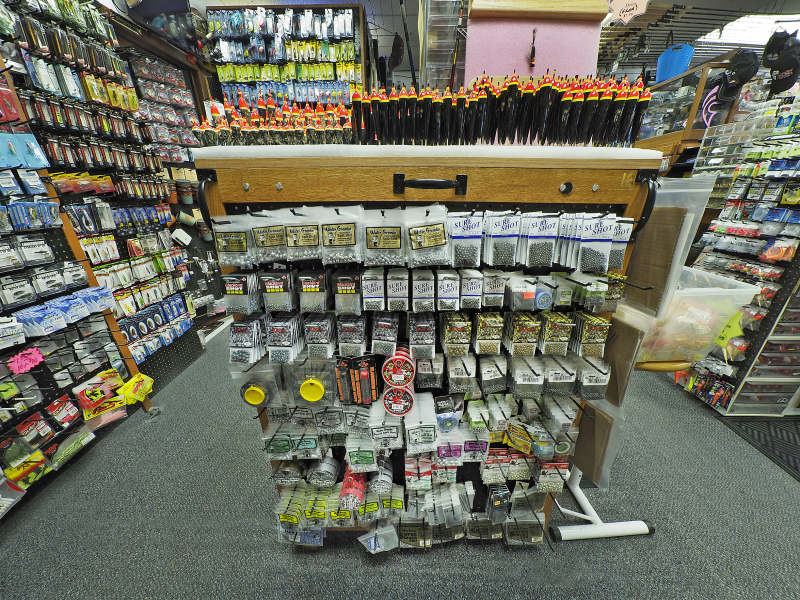 HLS - Store Random Product Pictures - Baitcast Rod Racks. 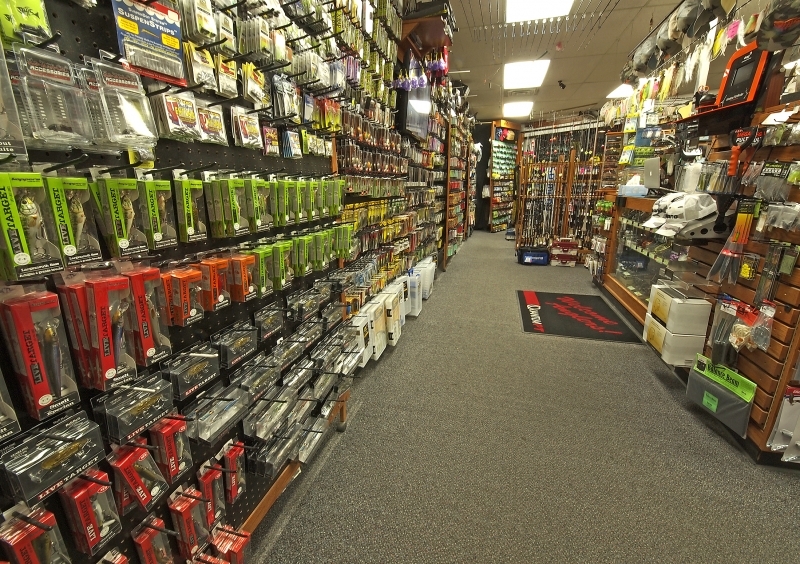 HLS - Inside Store Random Product Pictures. 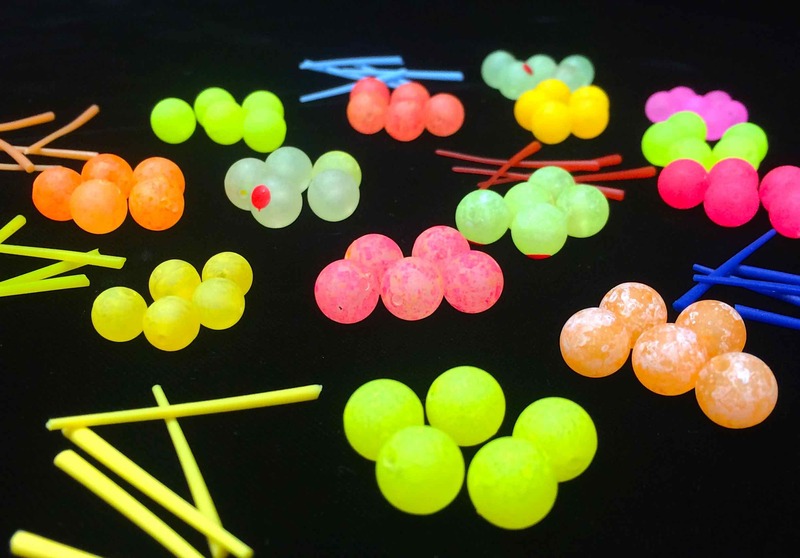 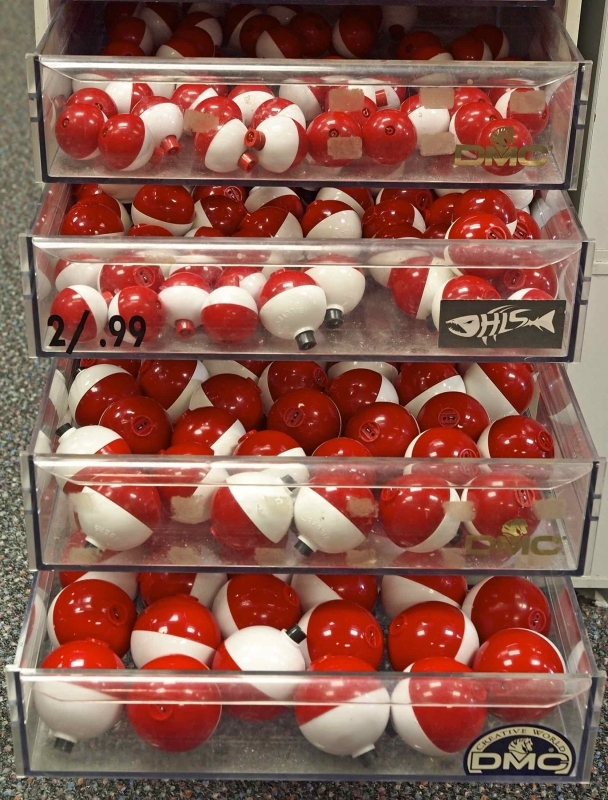 HLS - Store Random Product Pictures - Spinnerbaits. 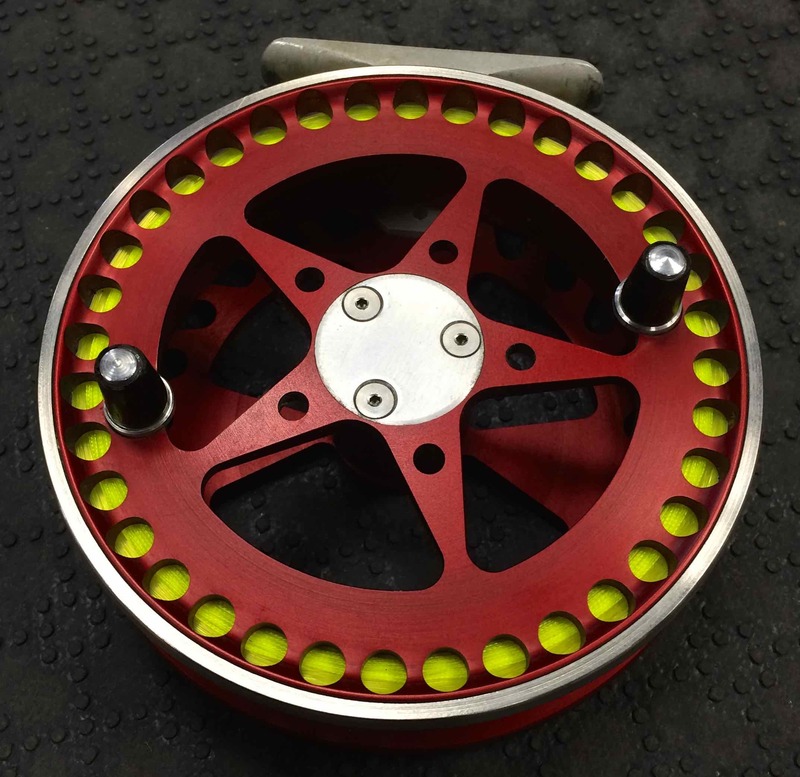 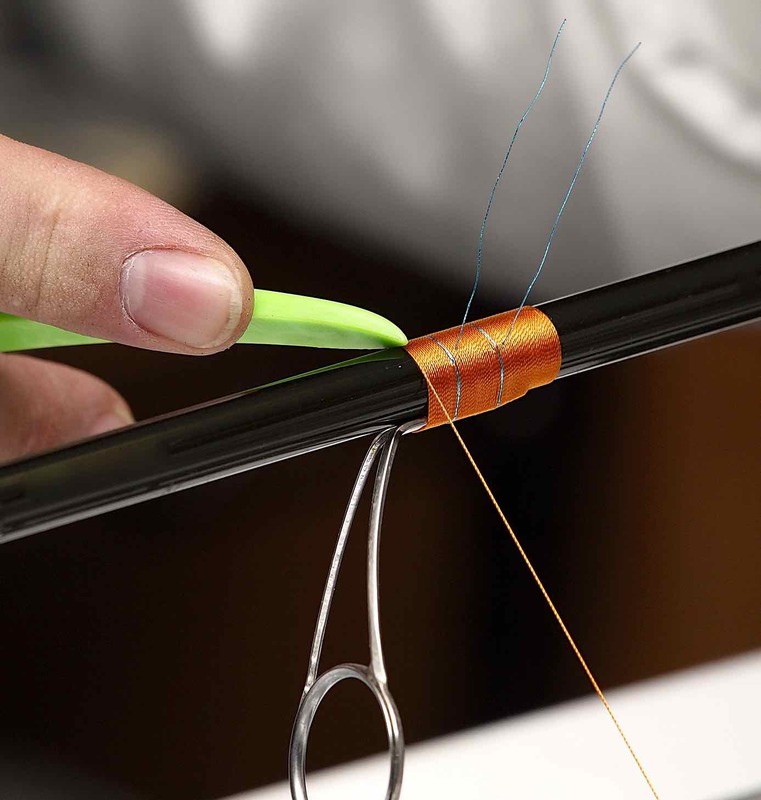 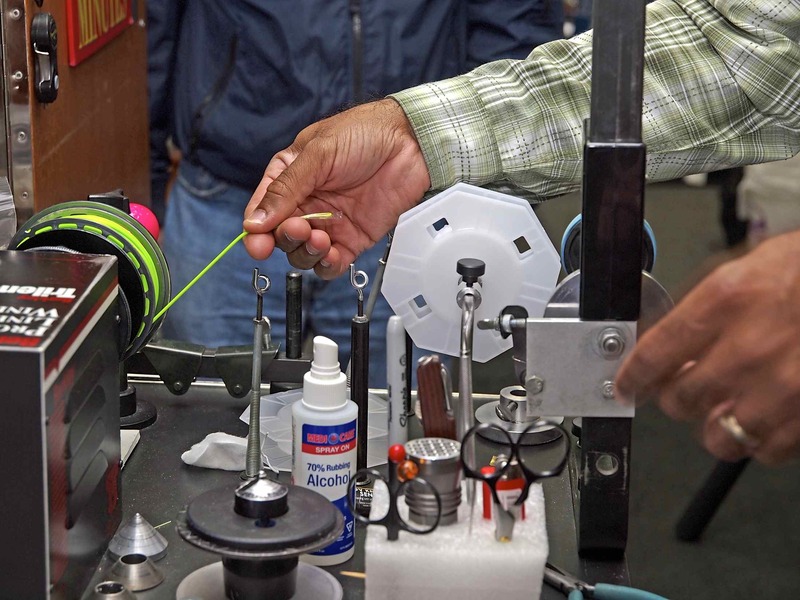 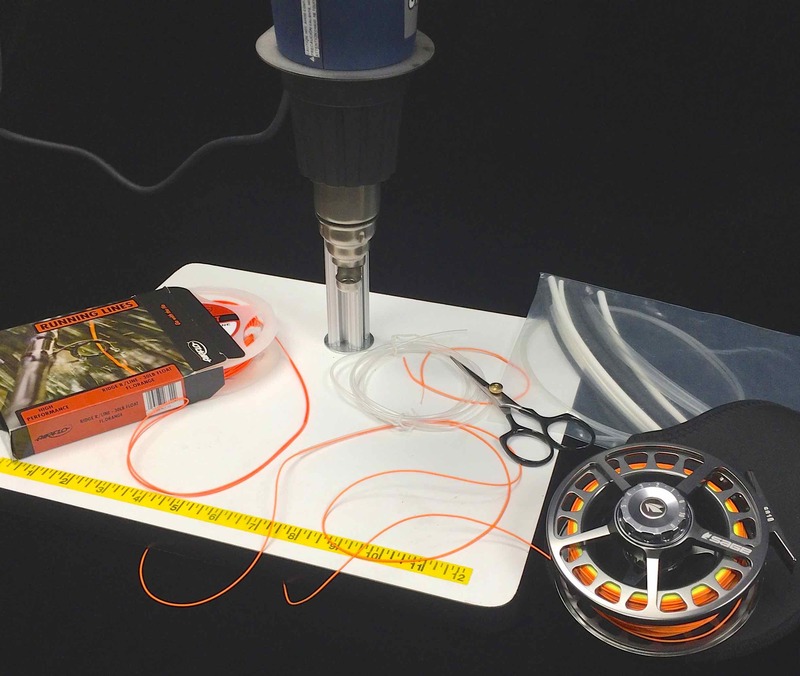 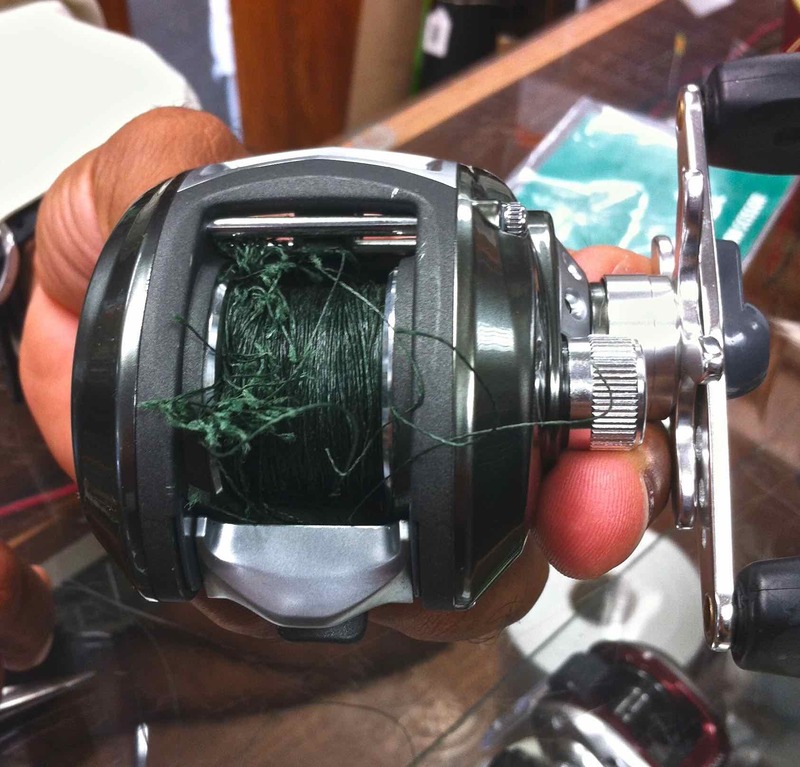 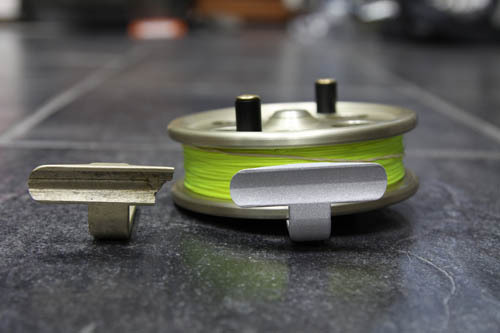 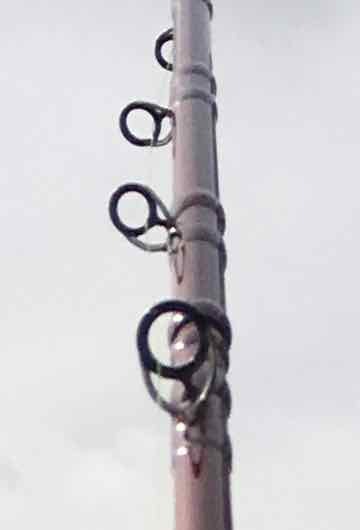 Line Spooling Machine being used for A Raven Centerpin Float Reel. 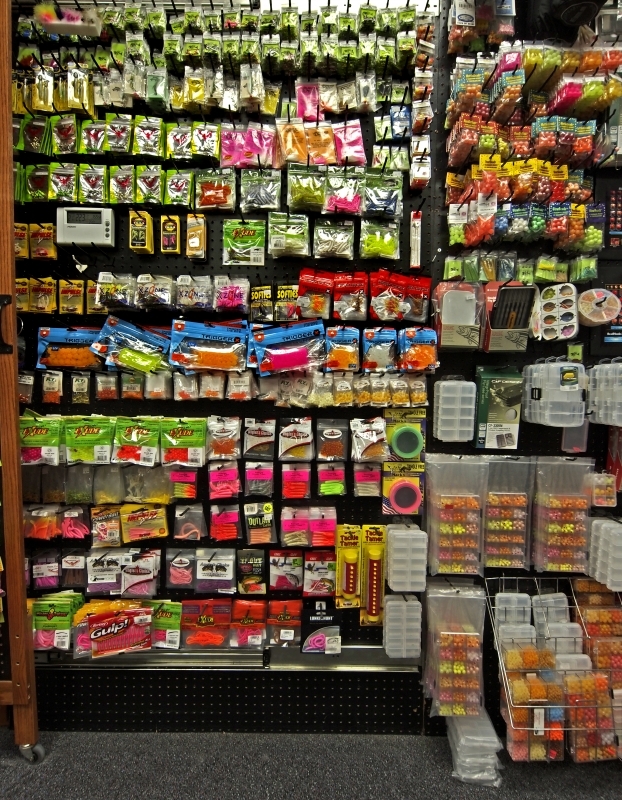 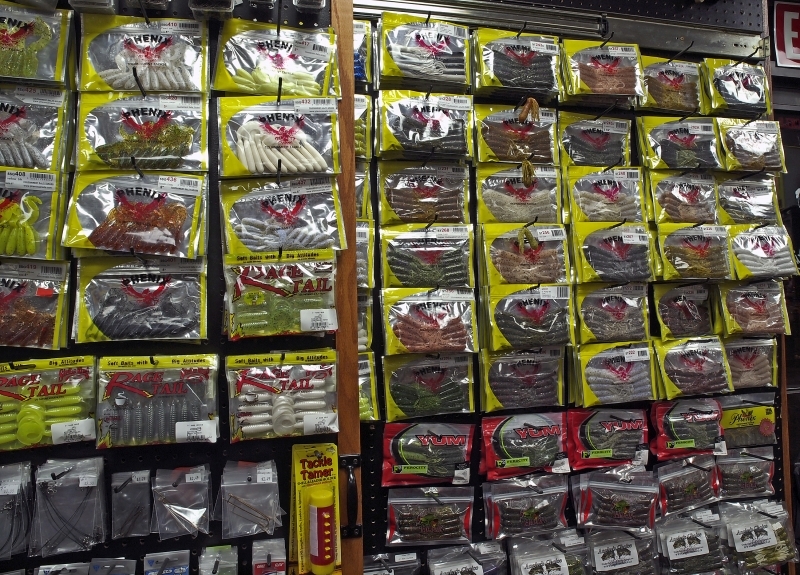 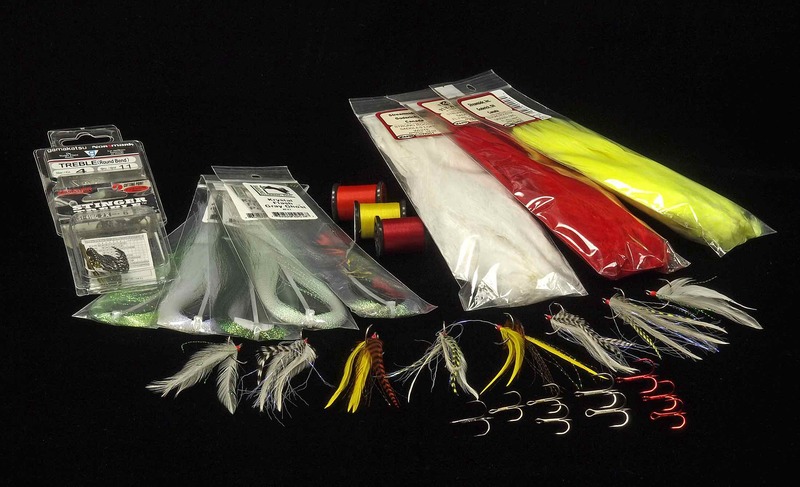 HLS - Store Random Product Pictures - Soft Plastics. 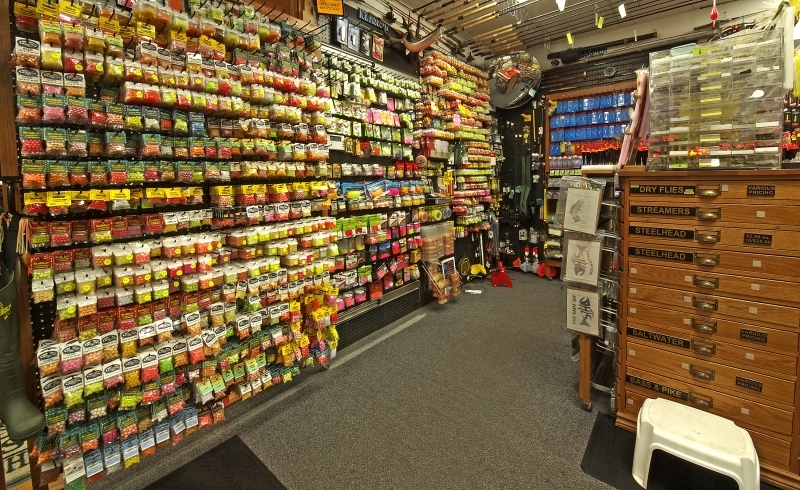 HLS - Inside Store Random Product Pictures - Jerk Baits. 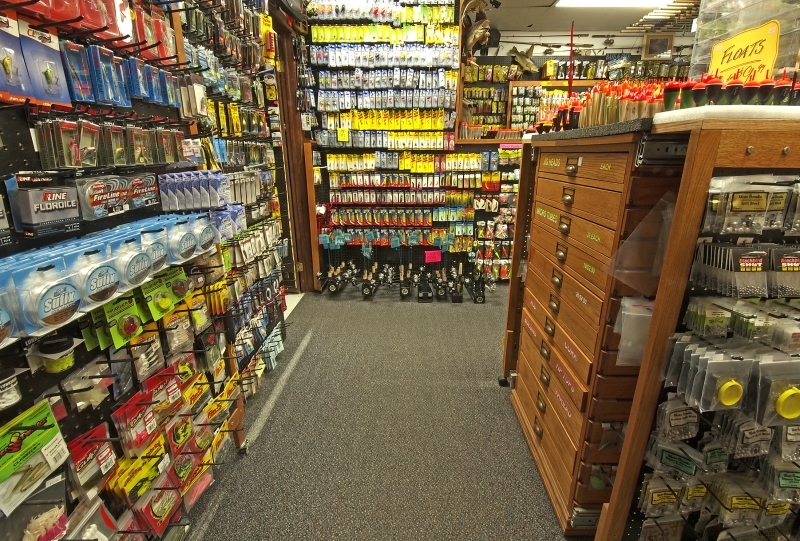 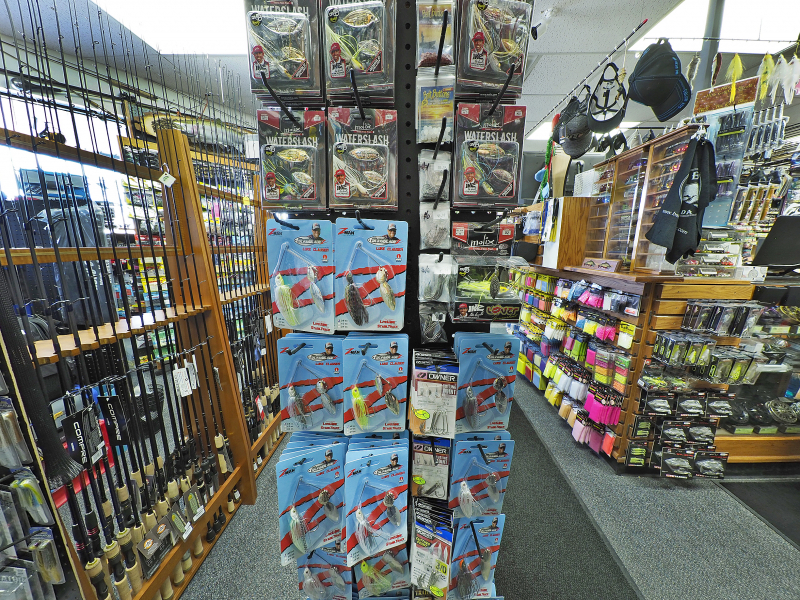 HLS - Inside Store Random Product Pictures - Top Water and Big Pike Lures. 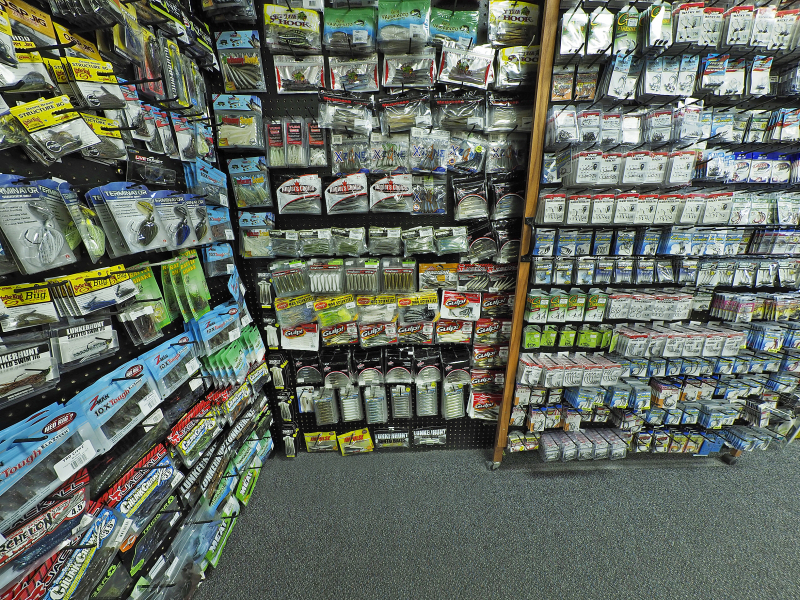 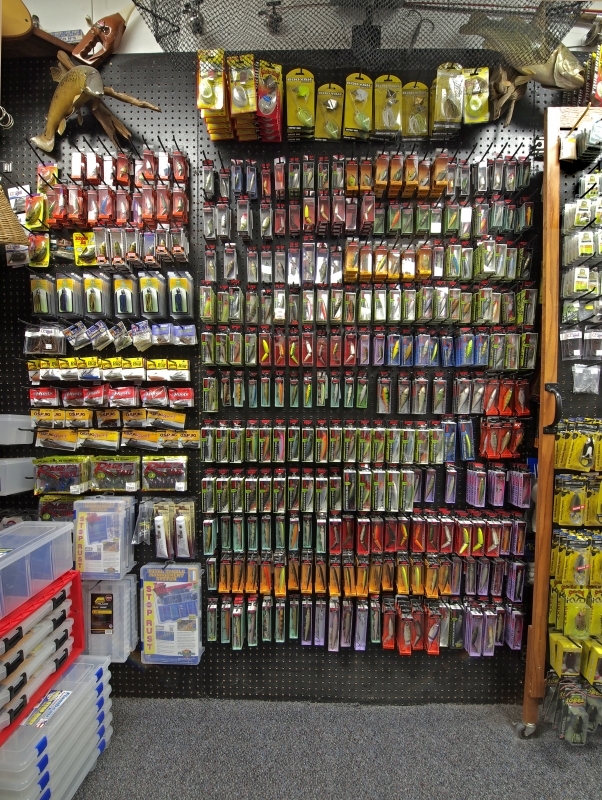 HLS - Store Random Product Pictures - Rapala Wall. 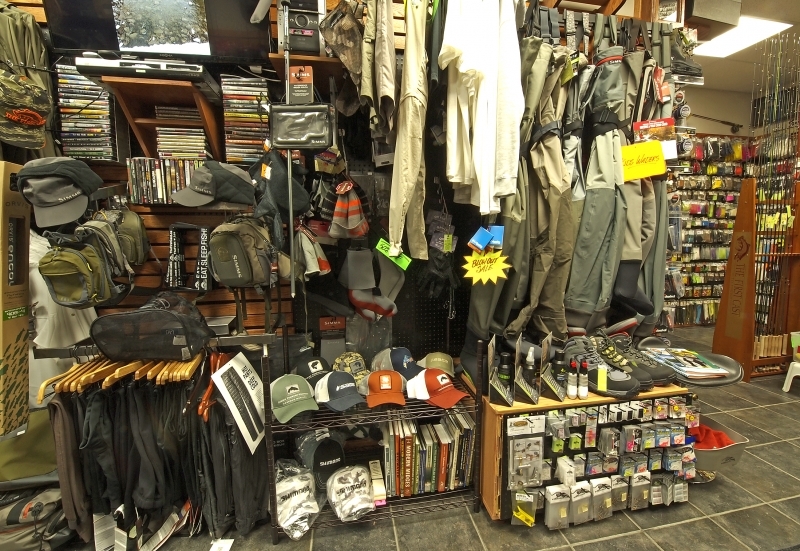 HLS - Store Random Product Pictures. 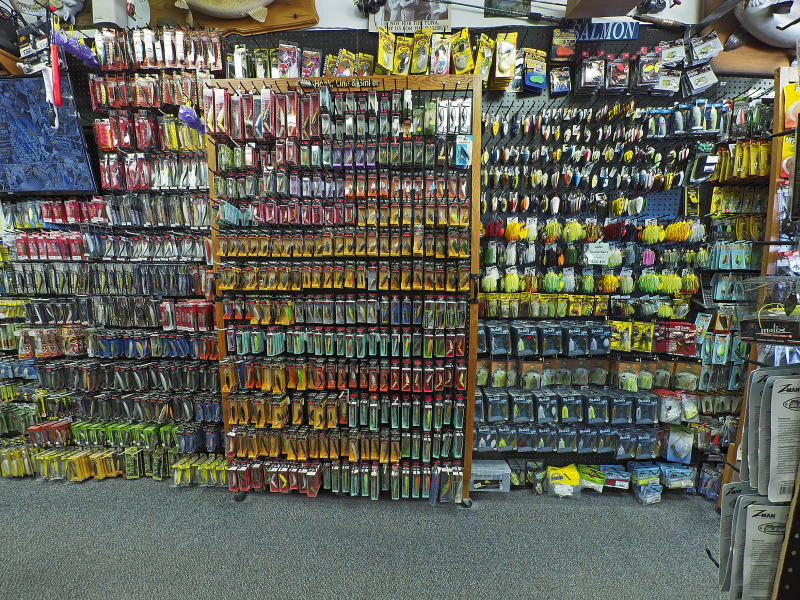 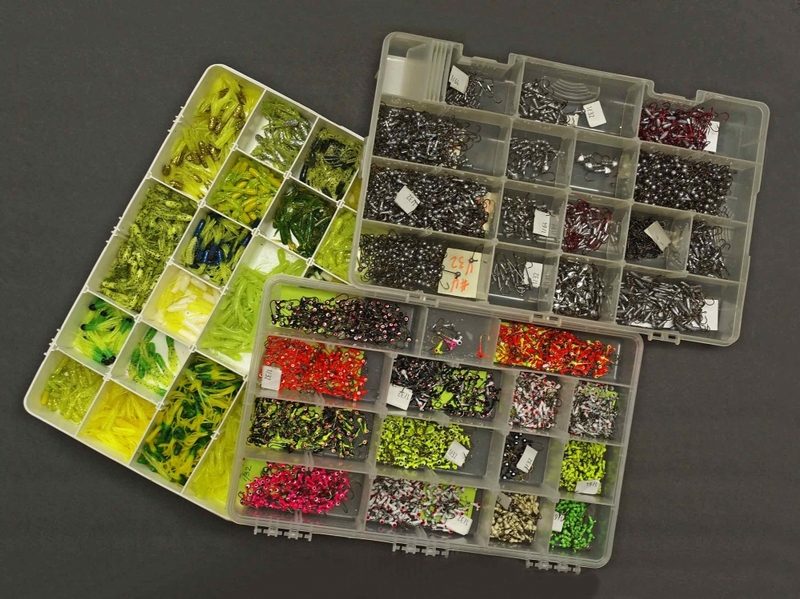 HLS Bass and Walleye Lure Selection. 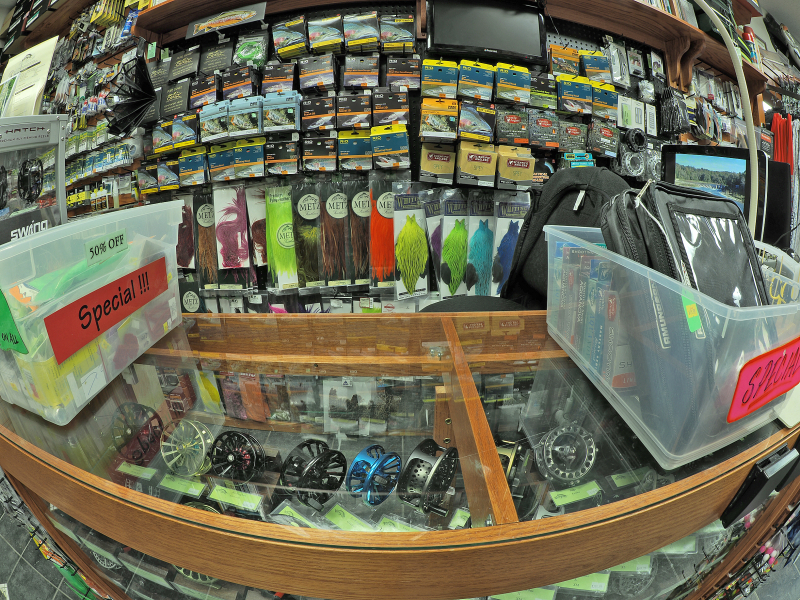 HLS - Store Random Product Pictures - Yamamoto Senko Display. 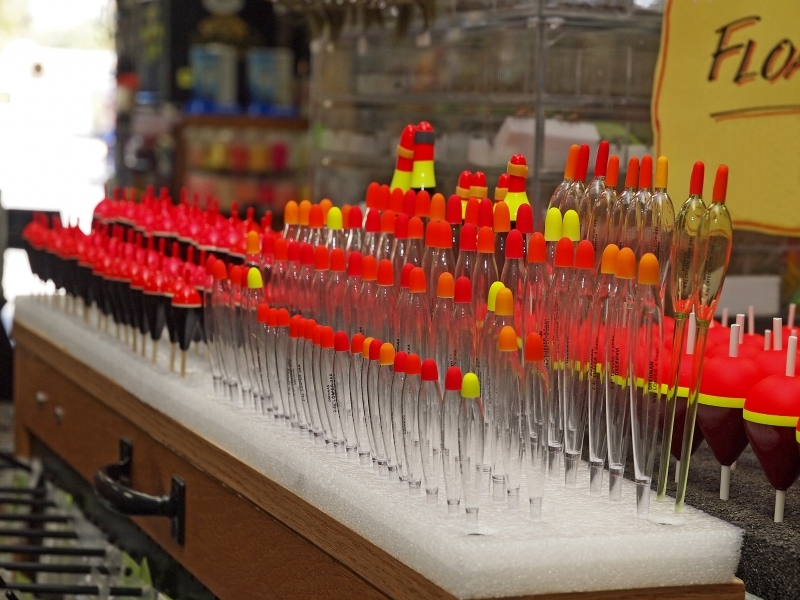 Red and White Fishing Bobbers. 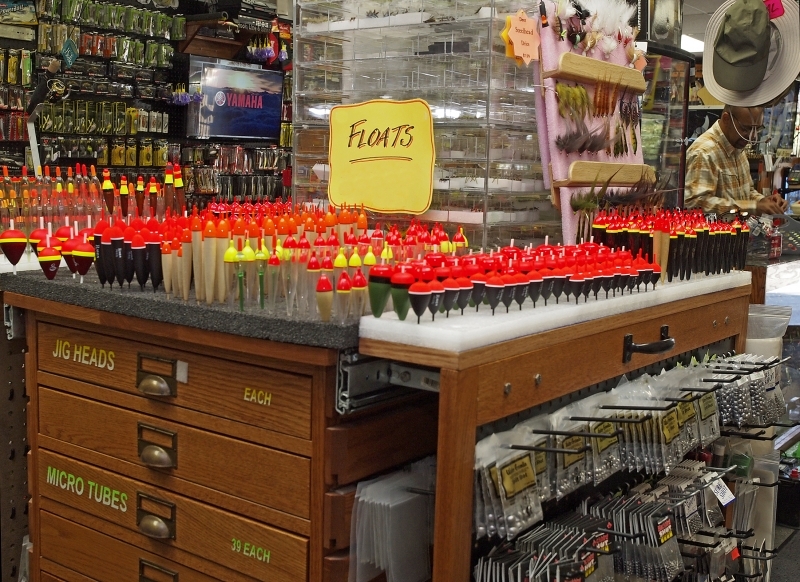 Spring And Slip Balsa Floats. 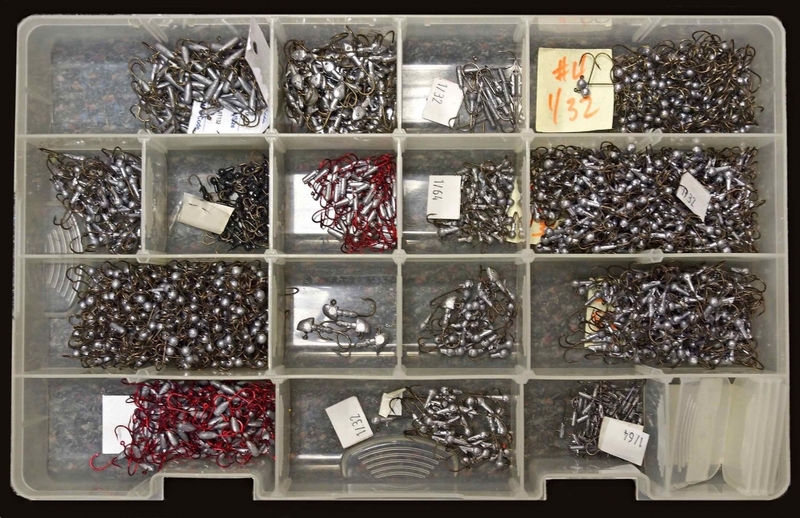 Assorted Painted Micro Crappie Jig Heads and Micro Tubes. 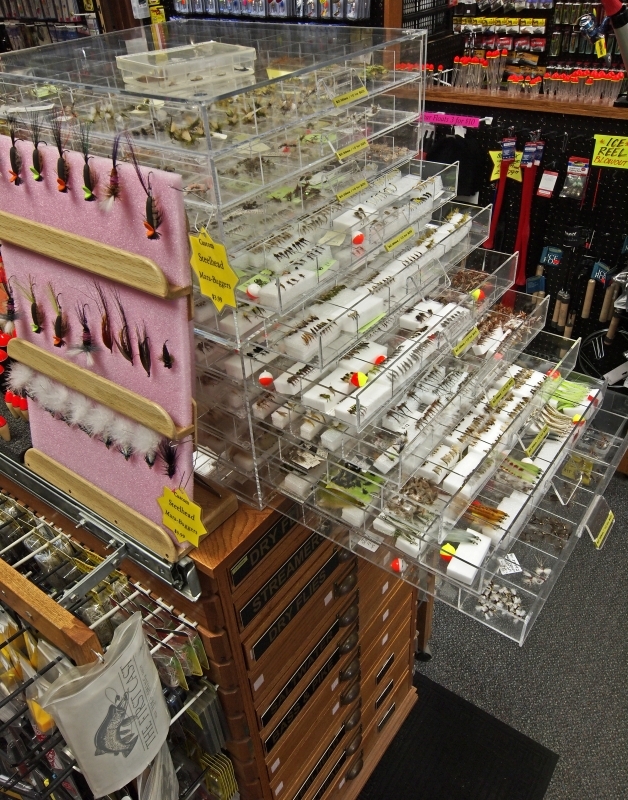 HLS - Store Random Product Pictures - Acrylic Fly Display. 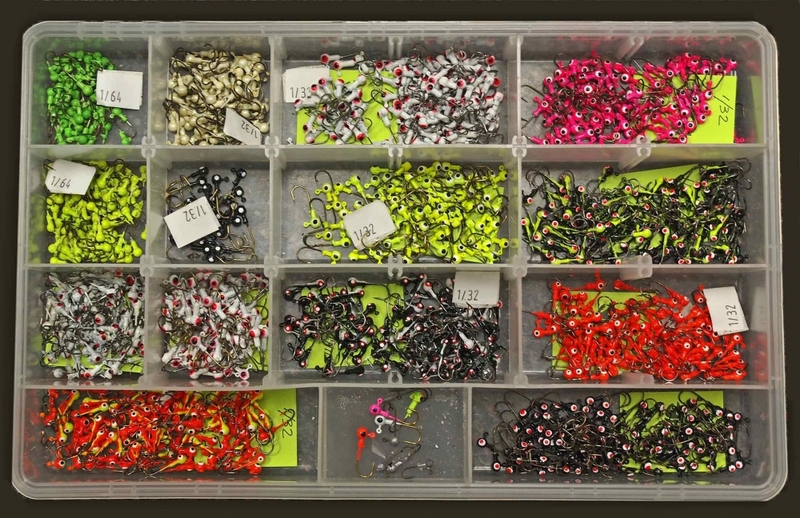 Assorted Painted Micro Crappie Jig Heads. 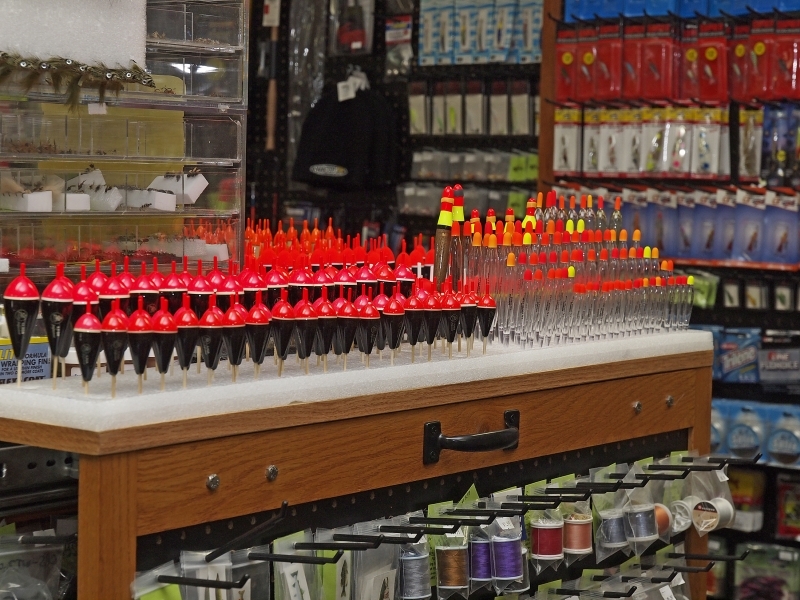 Assorted Unpainted Micro Crappie Jig Heads.